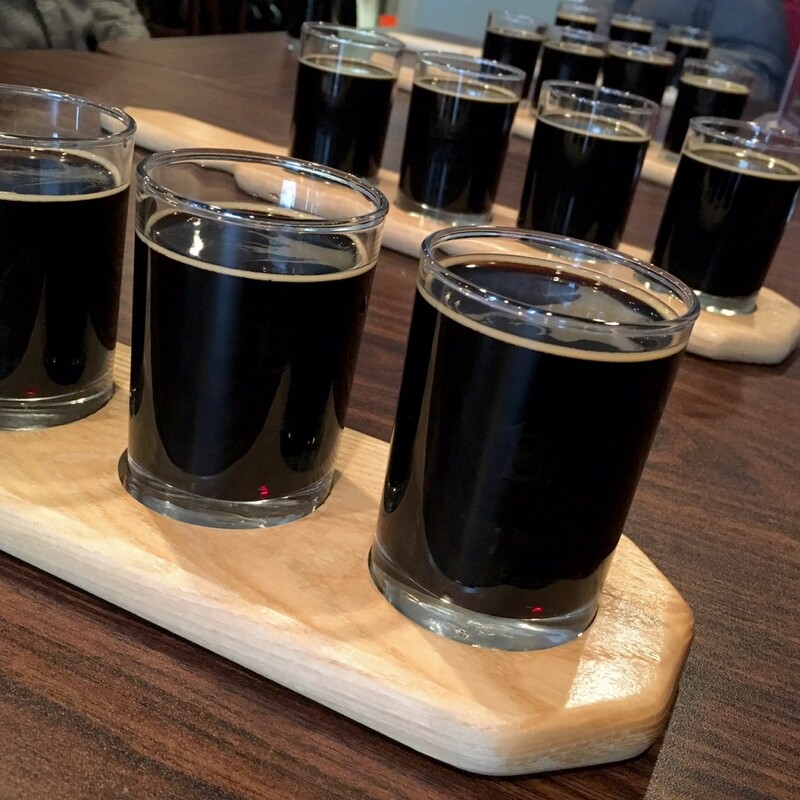 Over the weekend I had the pleasure of checking out the newest beer tour in New England, Pints of Portsmouth Beer Tours. 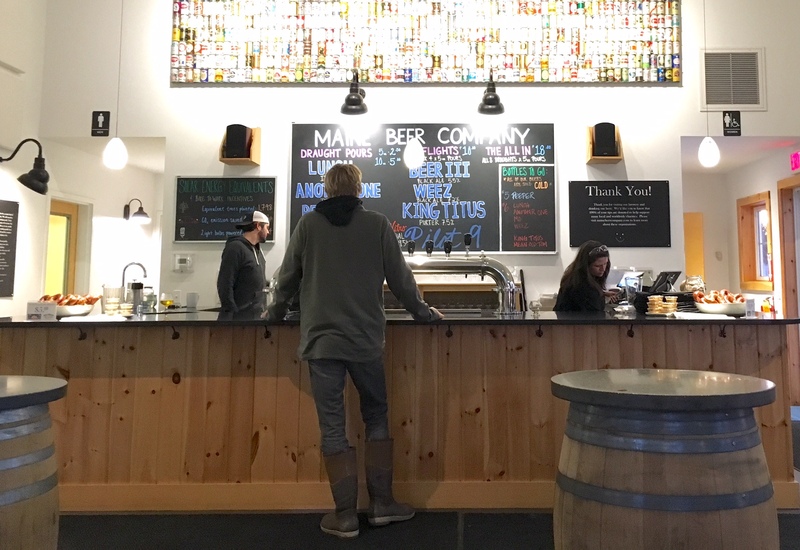 Based out of Boston, Pints of Portsmouth is a Boston-to-Portsmouth, New Hampshire beer tour inspired by the San Francisco-to-Napa wine tours in California. It’s not surprising that Allo Gilinsky, the founder of Pints of Portsmouth, hails from Northern California. Joining the ranks of Boston transplants, Allo and his innovative craft beer tour is a perfect fit for Boston. 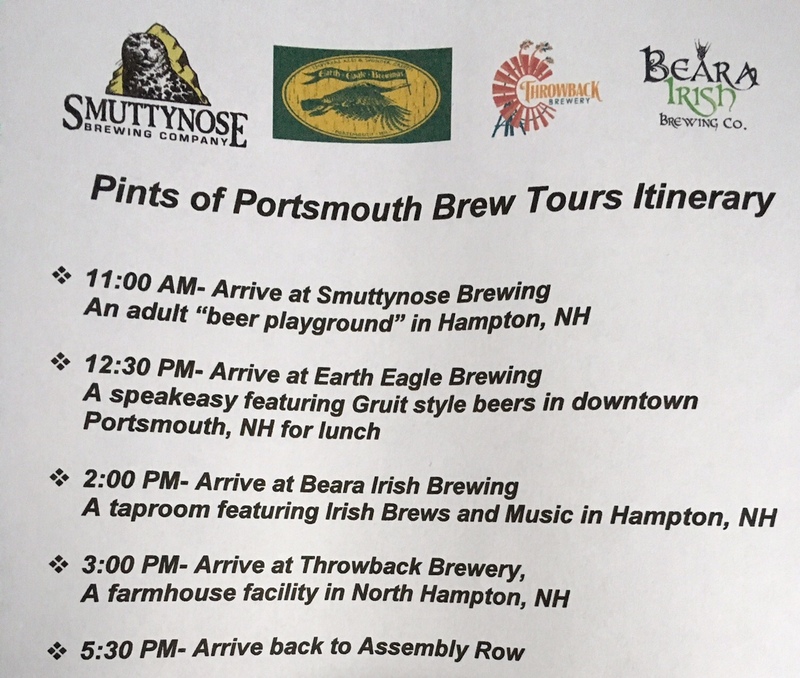 Shuttling up to 20 beer lovers to Portsmouth, New Hampshire and back, the all-day tour includes visits, tours, and tastings at 4 breweries, lunch, water, and a Pints of Portsmouth beer koozie. Allo guides the tour, providing a itinerary and background information on the breweries. 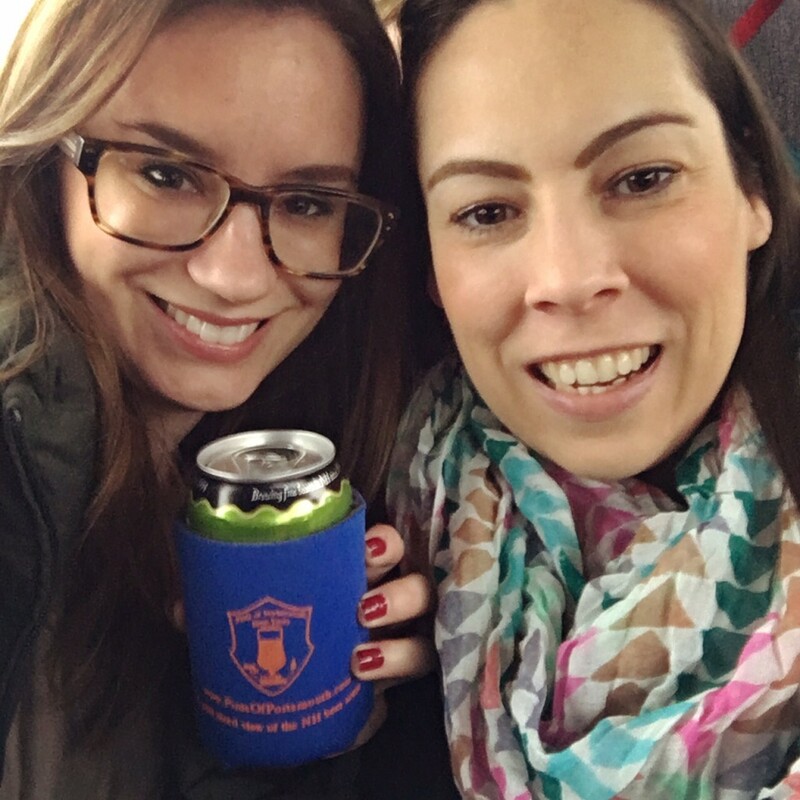 I was invited with my friend Jodi on the Pints of Portsmouth Beer Tour last weekend with a group of known beer lovers and bloggers. At 9:30 on Saturday morning, we met the group and luxury shuttle bus outside of the conveniently located Assembly Square T Station. Allo greeted us with a huge smile, detailed itinerary, and gift bags on our seats. I was immediately impressed with the attention to detail that went into the Pints of Portsmouth Beer Tours—koozies, social media reference guide, and name tags to boot! The 45 minute drive to Portsmouth flew by and before I knew it we were at our first stop: Smuttynose Brewery. 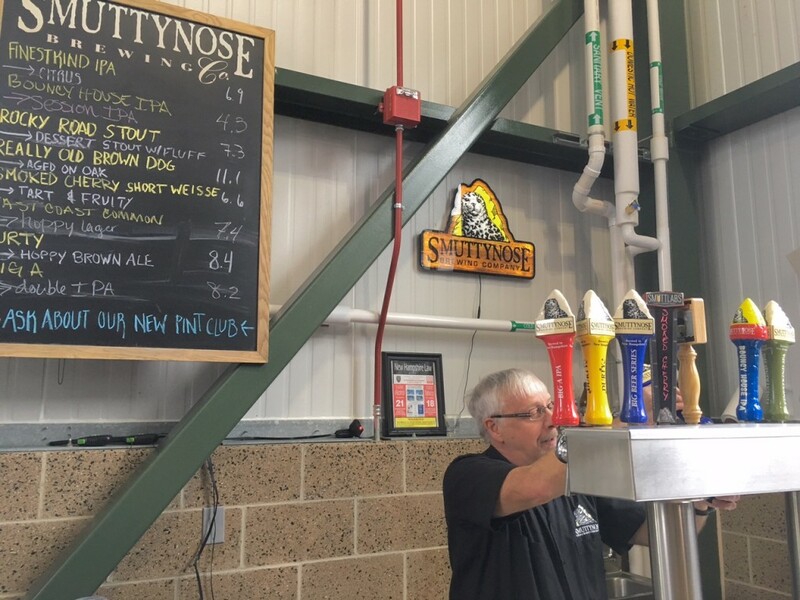 The famous brewers of Finestkind IPA and Old Brown Dog, two of my favorite local beers, Smuttynose has a beautiful new brewery which they opened in 2014. All of the beer is brewed on site in the green, sustainable facility. Upon arrival we were greeted with Smuttlabs‘ newest beer, Smoked Cherry Short Weiss. If you’re a sour beer lover, this limited release is a must-try! The tour showed us everything from the bags of malt and fermenters to the bottling line. After the tour we got to taste 4 additional beers, all of which were delicious. 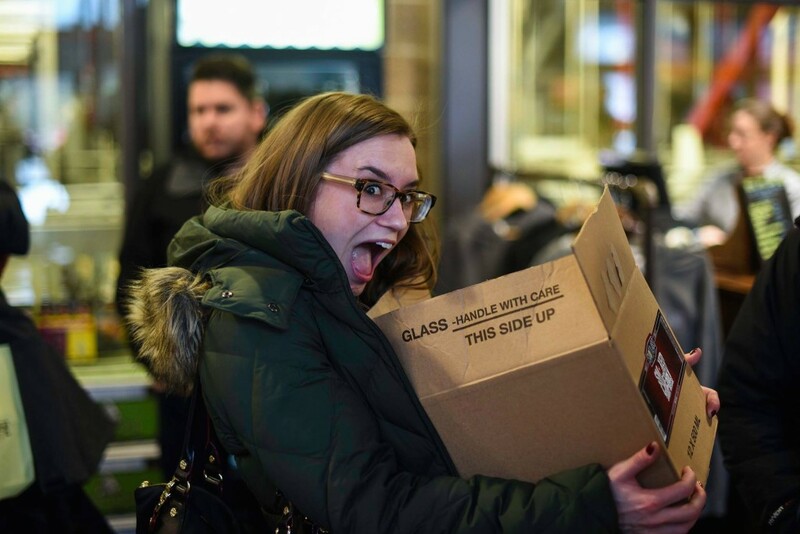 Easily excitable when it comes to new beer, I took home a box of assorted sours, including the Smoked Cherry Short Weiss. Pints of Portsmouth has a cooler on board in case you purchase chilled beer and plenty of room for any other beer that you purchase. 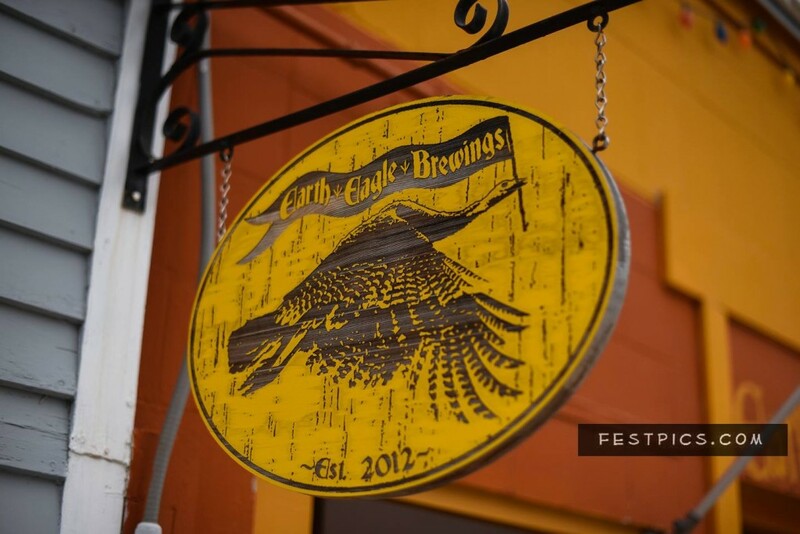 The next stop on our Pints of Portsmouth Beer Tour was to a brewery unfamiliar to this beer geek—Earth Eagle Brewings, known for their Gruit style of unhopped beers. We tasted 3 more beers over a lunch of sandwiches and nachos. I particularly enjoyed their White Light Gruit Herbed Ale. Our third brewery of the day was Beara Irish Brewing Company. An unassuming brewery located amongst a cluster of stores, Beara offered us a tasting of 3 beers including a Java Stout, a Maple Wheat, and an Irish Stout. 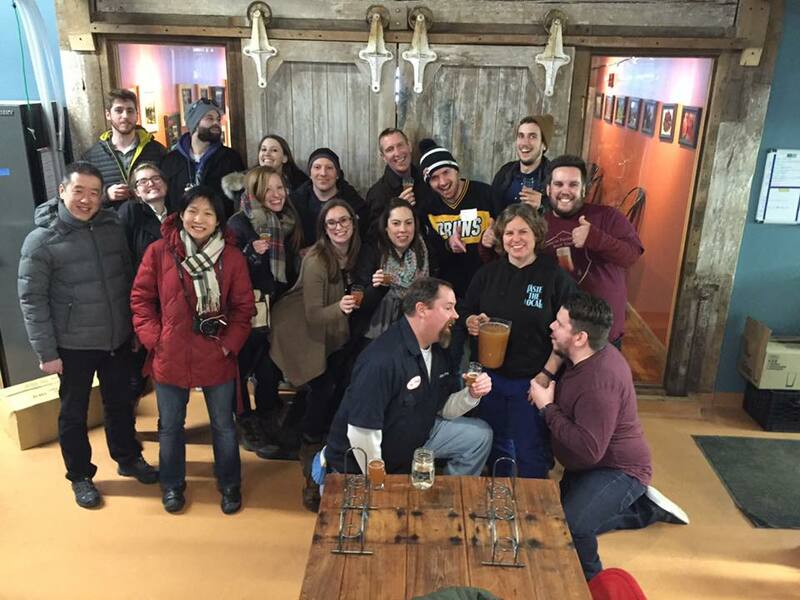 The fourth and final stop on the Pints of Portsmouth Beer Tour was at Throwback Brewery. 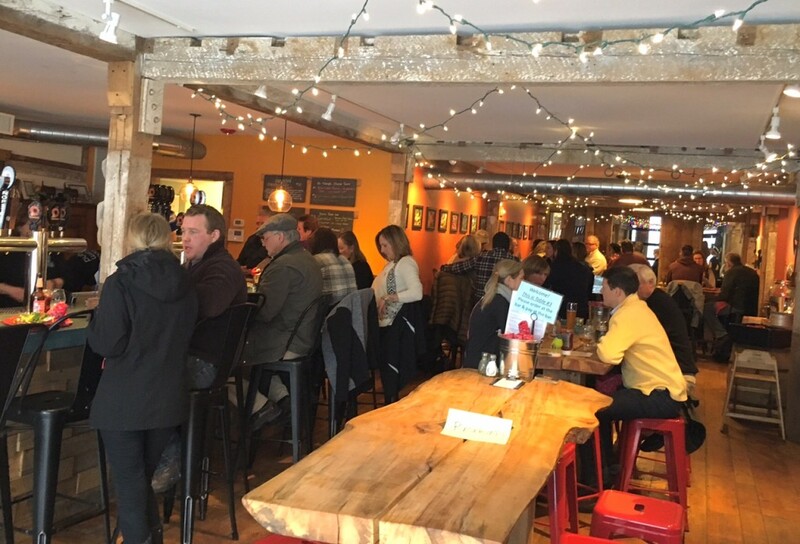 Owned and operated by two women, Throwback stole my heart with their founder story, beautiful farmhouse brewery, and collaborative efforts with local farmers in both their beer and food. I highly recommend the poutine-yum! 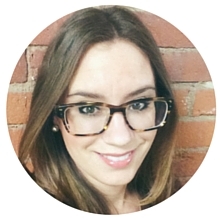 Owner Nicole Carrier set a private space for our group in a partitioned area. Seated between stainless steel tanks of beer, she explained the name and local ingredients behind each beer including Merry! Happy! Dreid-Ale, a ginger flavored beer, and an IPA called Donkey-Hote named in honor of the late donkey they inherited when they purchased the property. After a long day that flew by, it was time to hit the road and get back to Boston. We arrived back around 6pm safe and sound and with a newfound appreciation for the beers of Portsmouth, New Hampshire. 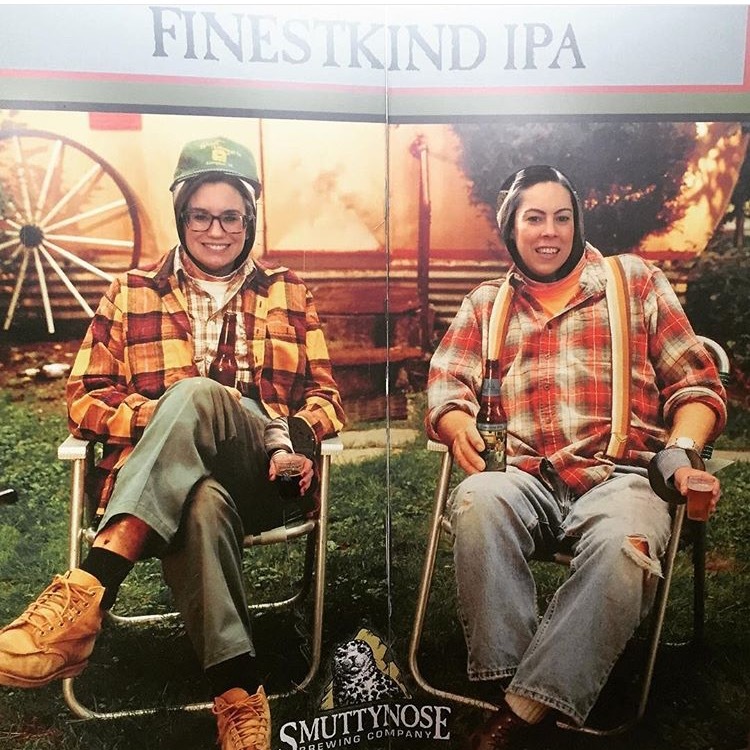 If you’re looking for a fun beer-themed day trip from Boston, I highly recommend Pints of Portsmouth. The company offers several tours as well as custom tours which makes it the perfect gift for the beer lover in your life or a fun outing for birthday parties, reunions, bachelor/ette parties, and more. While my trip was compliments of Pints of Portsmouth, this is a tour that I would gladly pay for. The day-long trip is priced at $110 and includes tours and tastings of 4 breweries, a designated driver to shuttle you around, water, and a koozie—a great deal for an awesome experience! Special thanks to Allo from Pints of Portsmouth and Mike Johnson of FestPics for the tour and photos. One of my favorite things about living in Boston is that it’s easy to go away for a weekend getaway. 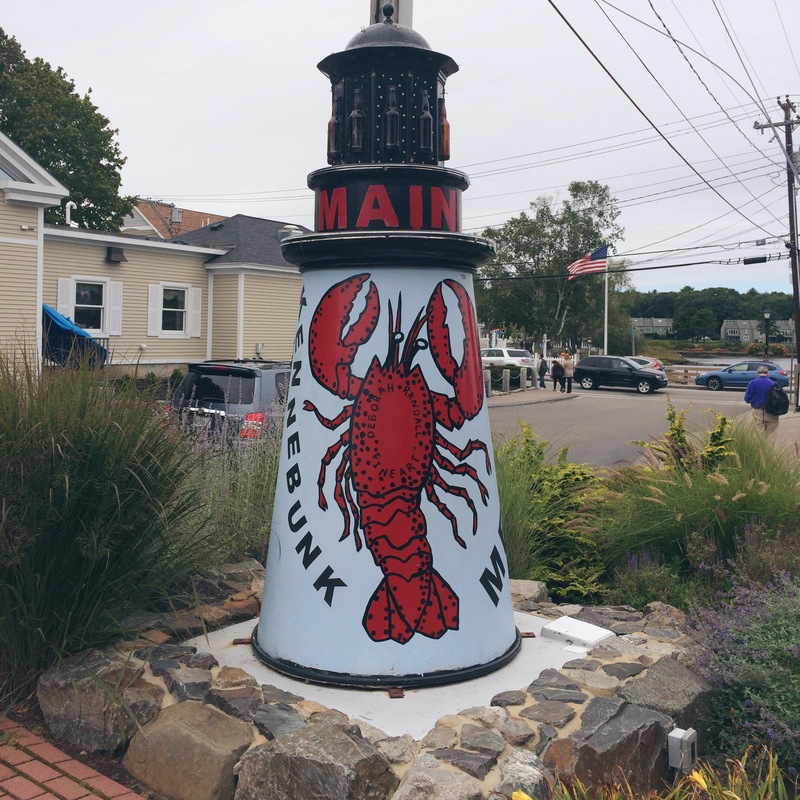 Whether it’s a preppy jaunt to Kennebunkport or a girls’ day trip to Newport, everything in New England is a short drive away. 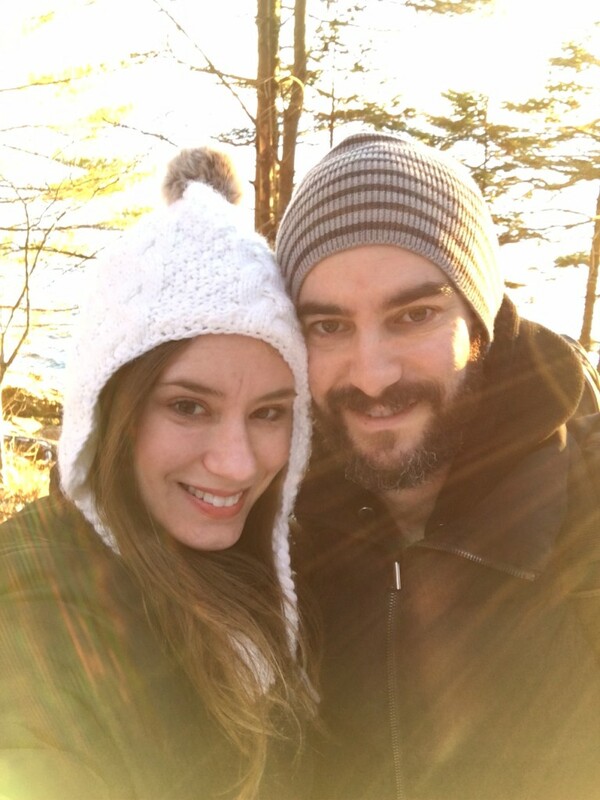 On our last New England getaway, my boyfriend and I visited Freeport, Maine for 3 nights over the extended New Years Eve weekend. Neither of us had ever been to Freeport and to be honest, it wasn’t on our top list of places to visit in New England. 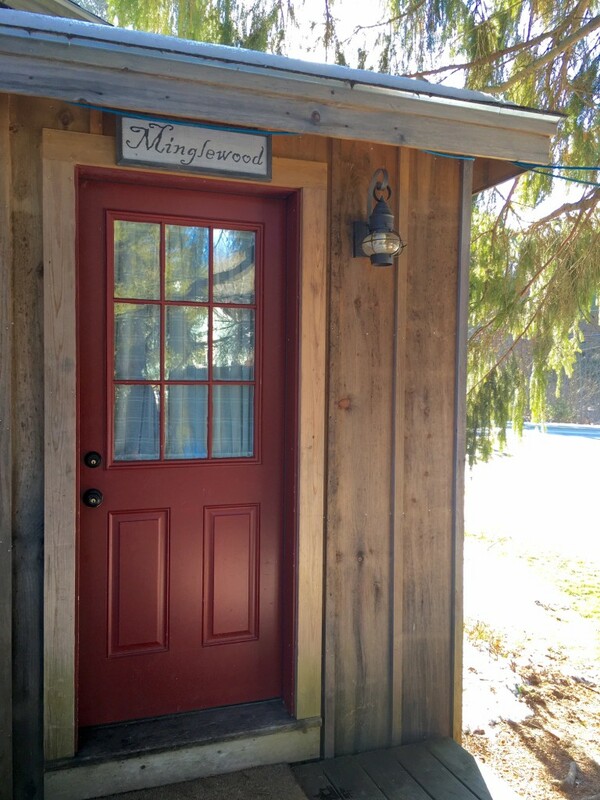 But as luck would have it during my lodging search, I found an adorable place on Airbnb that was perfect for a romantic weekend away. If you haven’t used Airbnb, you must check it out (here’s a link for $20 off your first trip). For those unacquainted, Airbnb is a website that facilitates lodging between homeowners with extra rooms or guest houses and travelers seeking the comforts of home-like accommodations. I love, love, LOVE Airbnb and no one paid me to say that! We stayed in a converted barn just south of downtown Freeport. Since Freeport is close to Portland, we had originally intended on staying in the area and spending at least at day in Portland. 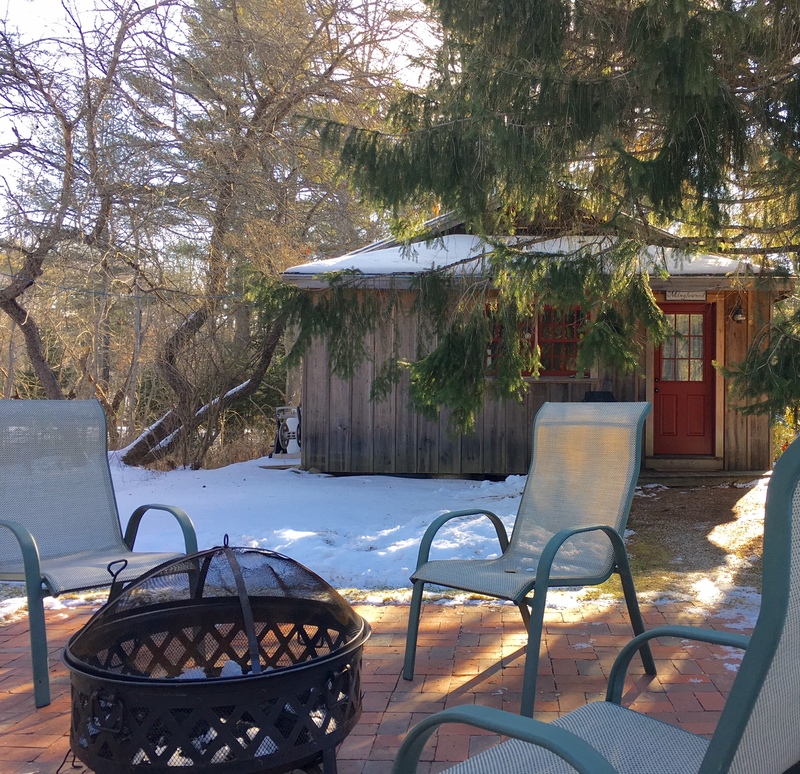 But between the food, shopping, and outdoor activities in Freeport and the cozy fireplace and outdoor firepit at our Airbnb, we spent the entire weekend in town. 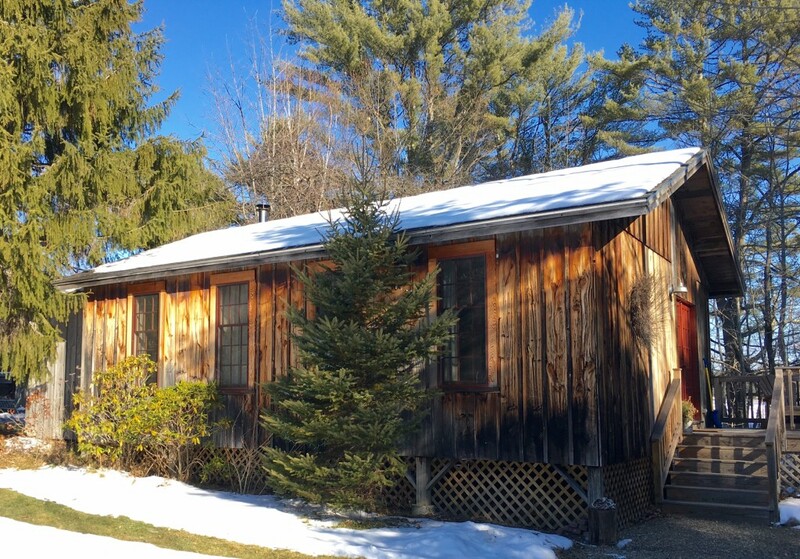 Just two hours north of Boston, my boyfriend and I drove up to Freeport the evening of New Years Eve with enough time to check into the Airbnb and change before our dinner reservations. Thanks to recommendations from coworkers and some Yelp reviews, we reserved a table at Gather in Yarmouth. 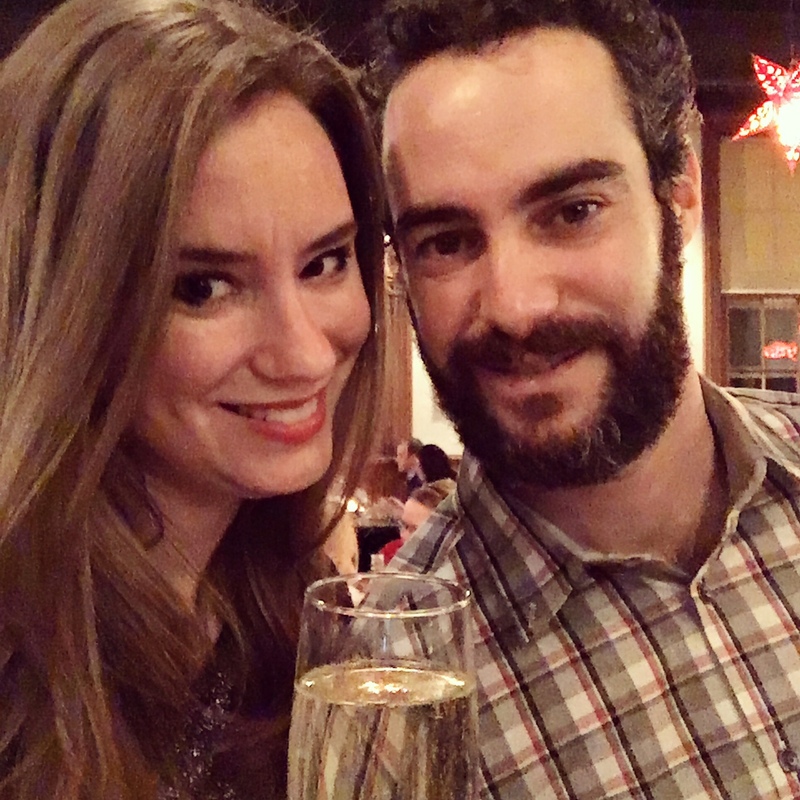 The farm to table restaurant was perfect for a relaxing New Year’s Eve dinner, complete with a special menu, delicious cocktails, and a bluegrass jazz band. The rabbit I ordered from the special holiday menu was outstanding and my boyfriend’s salmon with fried kale was amazing! 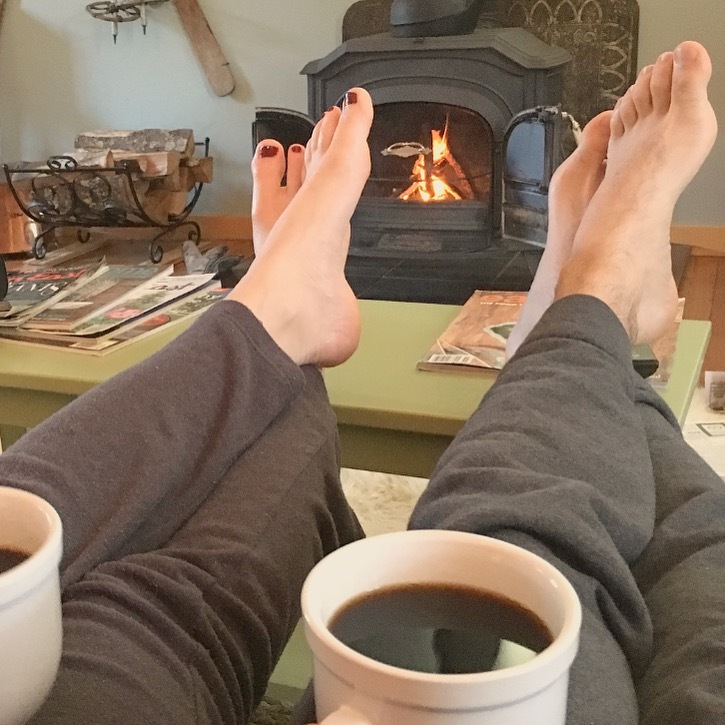 Gather wasn’t having a big New Year’s celebration, which worked with our low-key celebration plans of drinking bubbles in our pajamas so after dinner we drove back to our cozy weekend home to ring in 2016. Though small, the downtown area of Freeport, called Freeport Village, packs a strong punch. 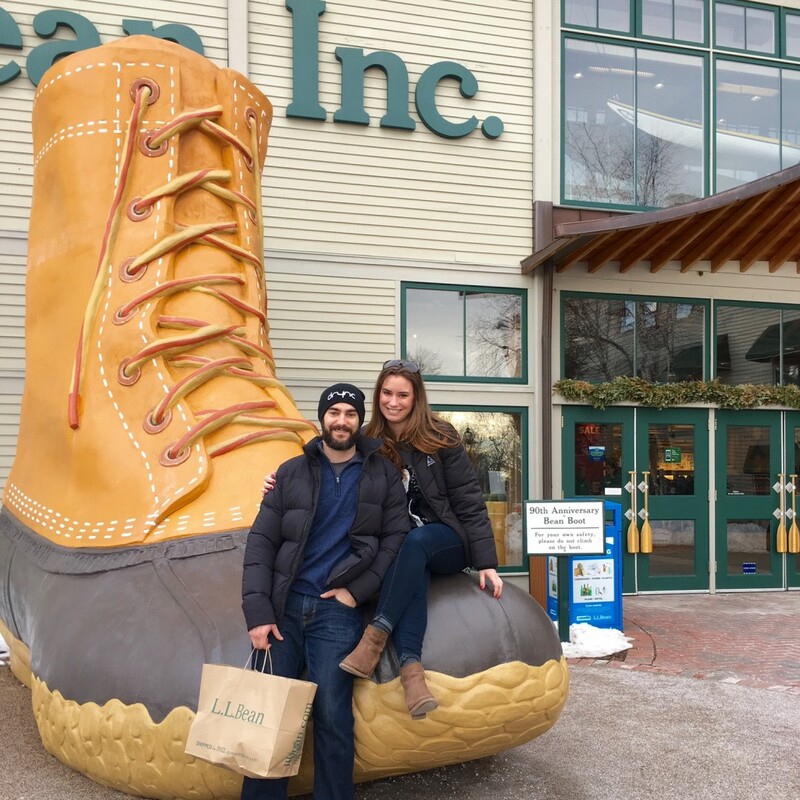 We spent hours casually strolling through the LL Bean stores (there’s at least 4 of them) and the various outlets. We fell for the tourist trap and ate lunch at Linda Bean’s Topside Tavern, a restaurant directly across from the LL Bean flagship store. 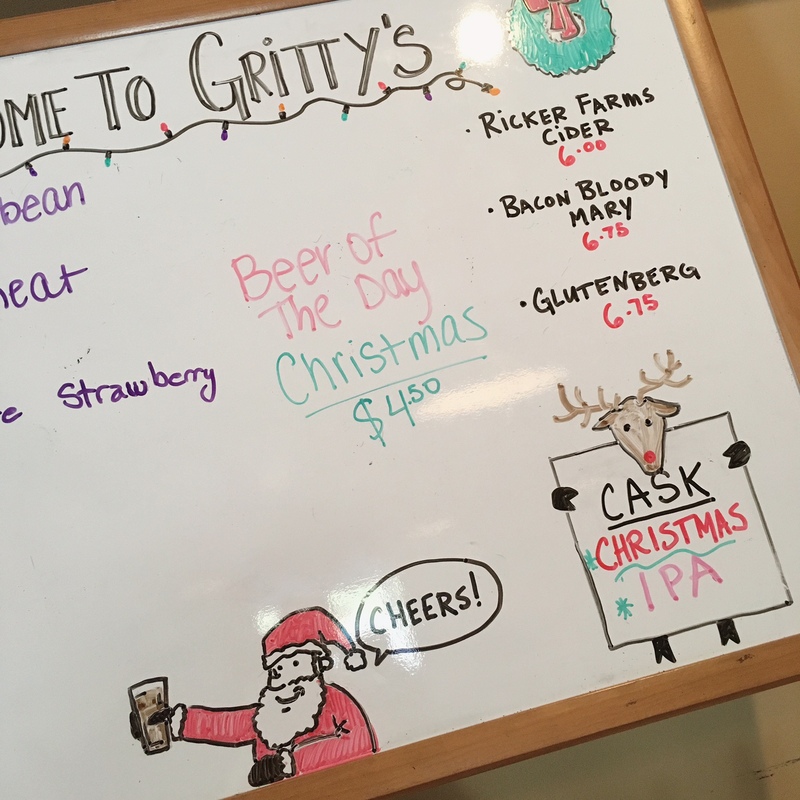 If you’re looking for food in the area, I recommend walking a block or two north on Route 1 and checking out some of the other restaurants or driving a few minutes down the road for brunch at the Muddy Rudder, lunch and beer at Gritty’s, or a hearty dinner at Buck’s Naked BBQ . 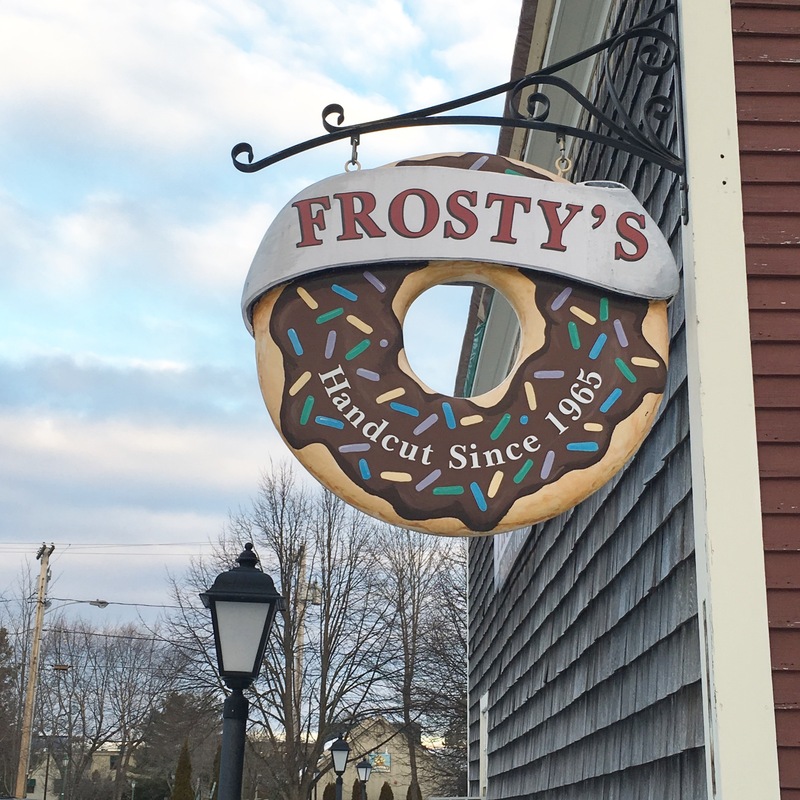 Or if you’re craving something sweet, stay in town and head to Frosty’s Donuts for a glazed bite of heaven. Despite a warm fall and beginning of winter, a few inches of snow fell in Freeport before we arrived. 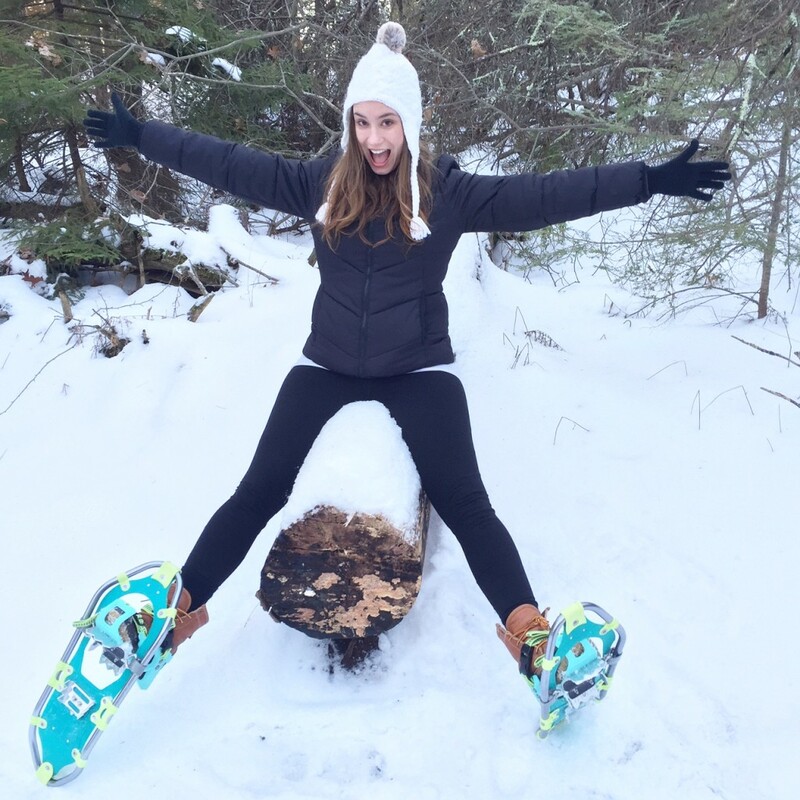 We took this opportunity to break in the new snowshoes my boyfriend bought us for the holidays at Wolfe’s Neck Woods State Park. Our thoughtful Airbnb host had put together a binder of information, including a trail map of the coastline park so we were well prepared for a snowy walk through the woods. Since no weekend trip is complete without a trip to a local brewery, Maine Beer Company was the last stop on our Freeport weekend getaway. My boyfriend and I split a flight of four beers (Mo, Beer III, Another One, and Pilot 9). 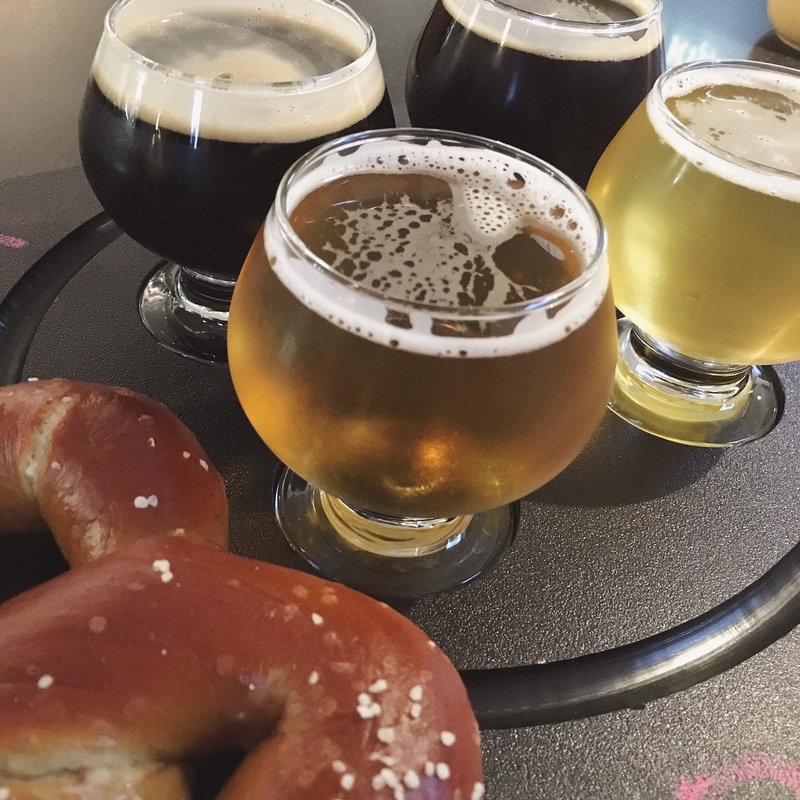 Breweries can be hit or miss when it comes to food, as the licensing limits what they can and can’t serve, but the pretzels at Maine Beer Company were on point. Fresh and delicious and served with a side of tasty mustard, the pretzel was the perfect compliment to the beer flight. 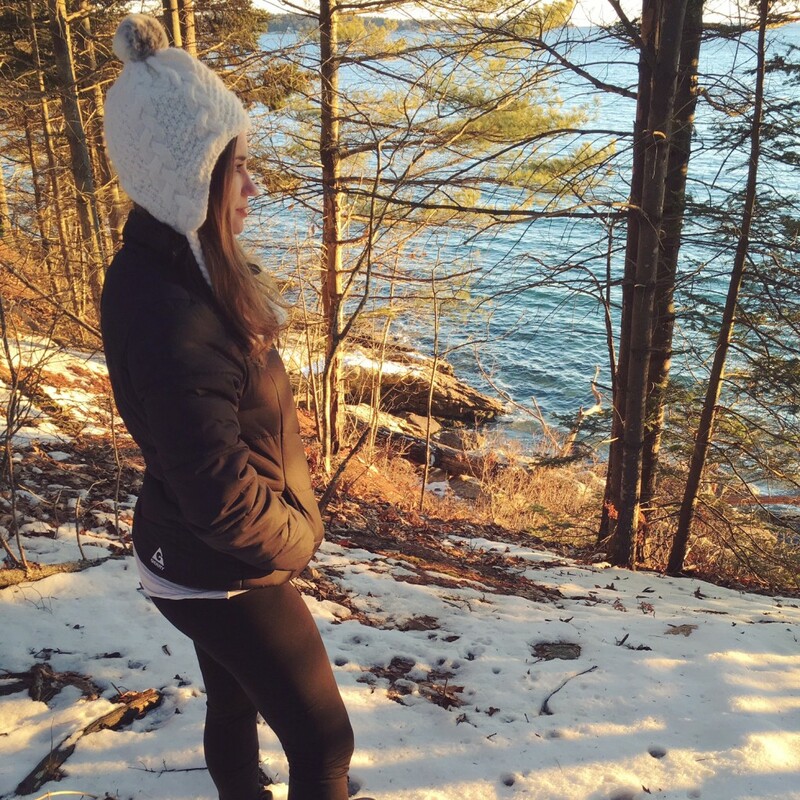 If you’re looking for a relaxing weekend getaway close to Boston, I highly recommend checking out Freeport! There’s nothing like visiting New York City during Christmas time. From the huge Christmas trees and window decor to the holiday spirit, the already spectacular NYC takes on an almost magical feel during the month of December. 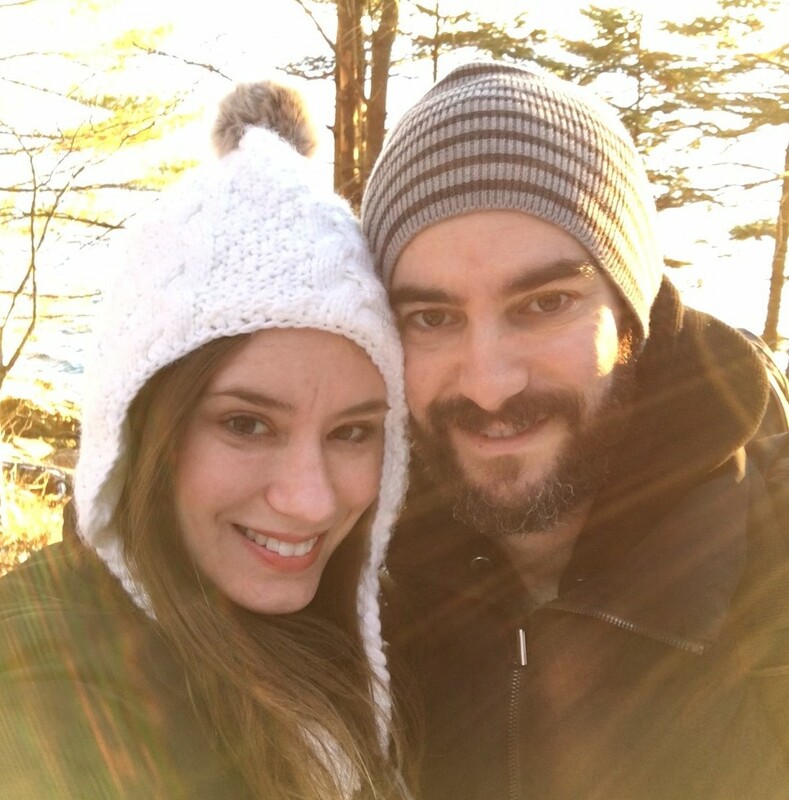 Over the weekend my boyfriend and I traveled from Boston to New York for two nights of Christmastime in NYC bliss. 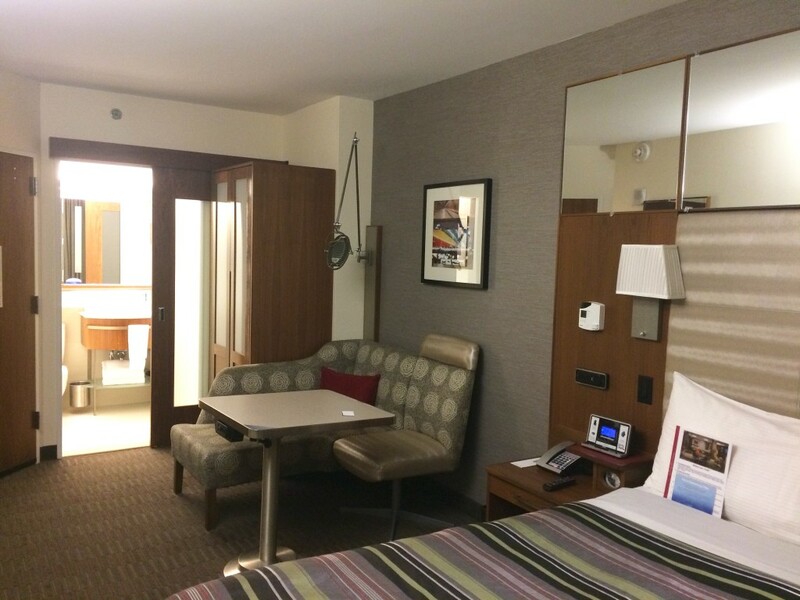 We wanted to stay in Midtown close to the action of Rockefeller Center and Broadway. 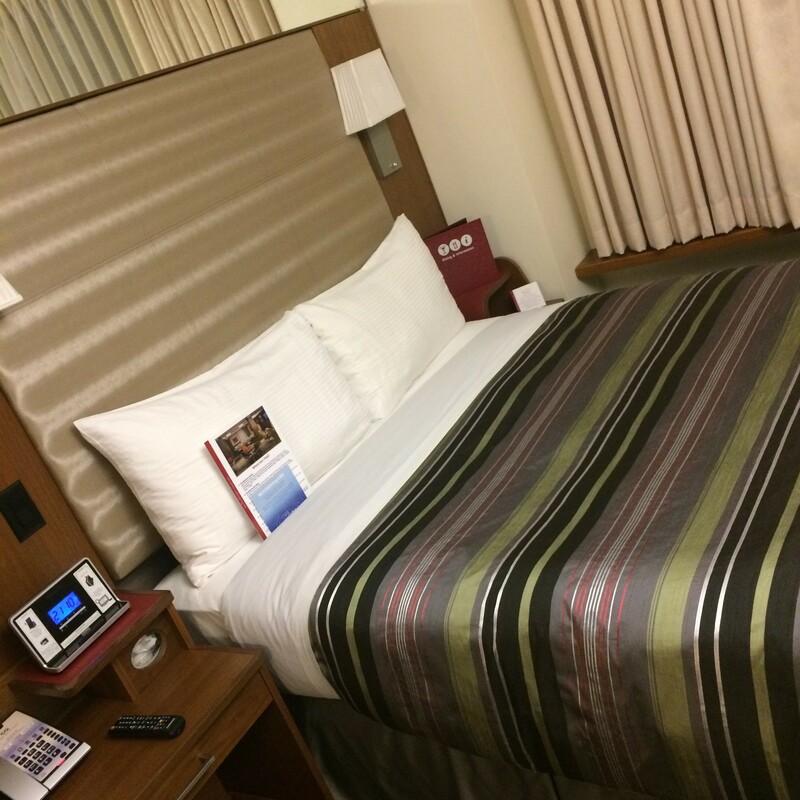 Hotels in NYC are expensive enough but throw the holiday season into the mix and even a quick trip can be cost-prohibitive. 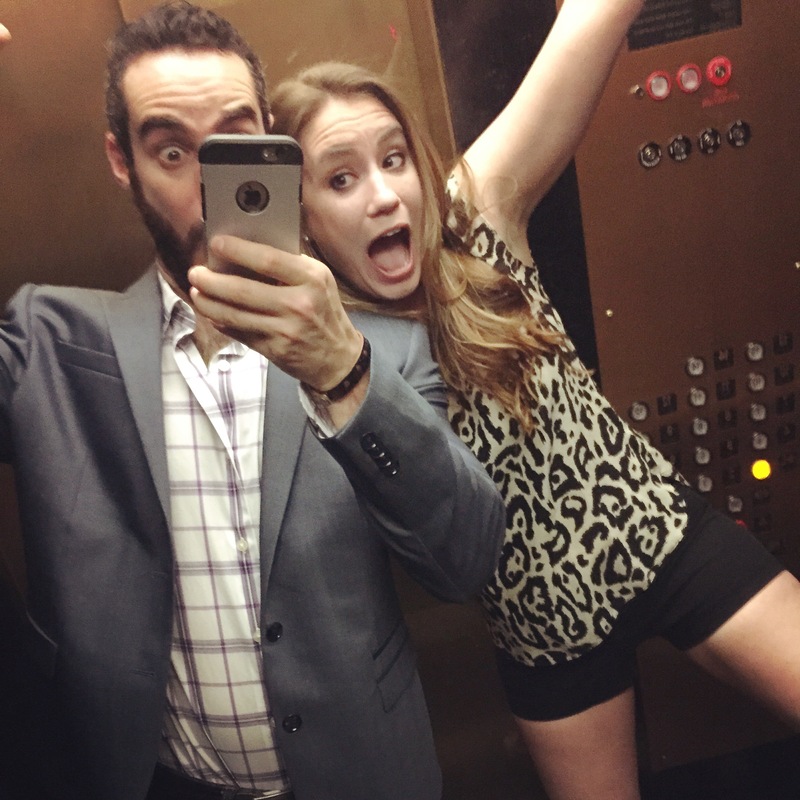 So when we found Club Quarters Grand Central for under $250/night in Midtown Manhattan, we were thrilled! 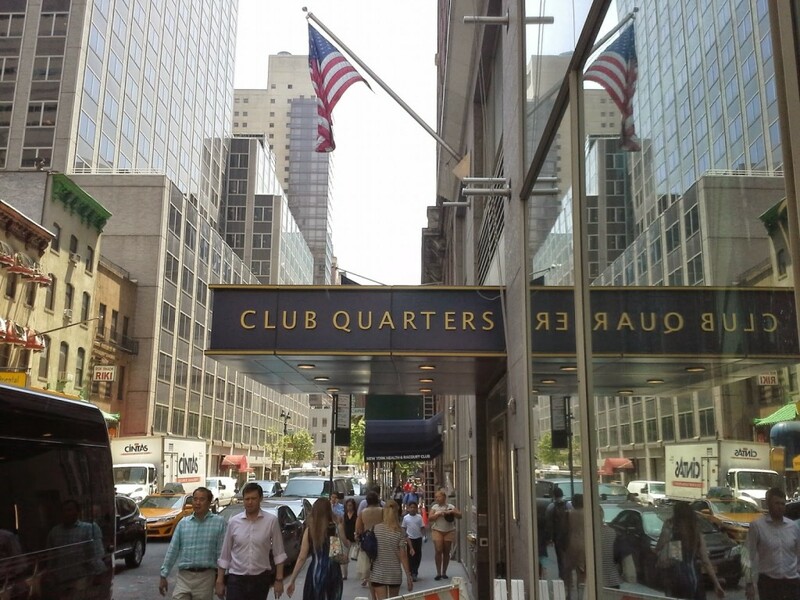 As you can guess from the name, Club Quarters is located near Grand Central Terminal in Midtown, making it centrally located for Christmas activities in Rockefeller Center, Central Park, Times Square, and Bryant Park. For those unfamiliar with the hotel, Club Quarters is a club hotel that caters typically to business travelers. Members of the hotel get low rates and, when extra rooms are available, those rooms are offered to the public. 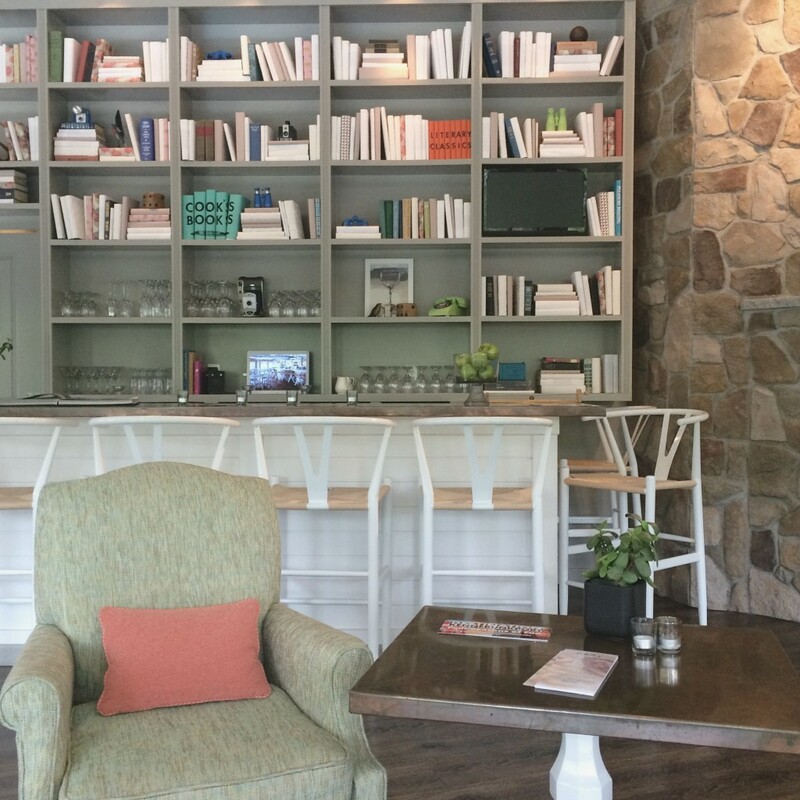 A full-service hotel, Club Quarters offers everything you need for a no-frills stay. The rooms were modern, clean, and comfortable, providing everything we needed for our short stay. The contemporary room boasted the sensible necessities that you might expect to find in a hotel in Toyko and was easily big enough for 2 people without feeling like you were paying for wasted space. Everything had its place in the room, like the corner couch and table that doubles as a desk and charging station. The efficient use of vertical space was impressive and made the room seem larger than its square footage. Perhaps my favorite thing about the Club Quarters, aside from the easy to access WiFi, was the filtered cold water machine and complementary water bottles on each floor. For travelers with sensitive stomachs or those not brave enough for tap water, the availability of free bottled water in a city that charges an arm and a leg for everything was a huge perk! For your needs unmet by the hotel room, Club Quarters also has a living room on the 27th floor with a killer terrace view, free coffee and a mini business center. 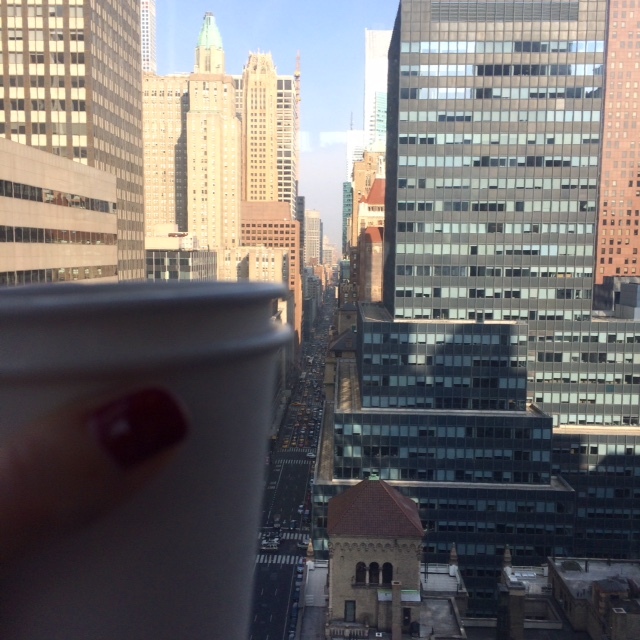 If you’re looking for an affordable hotel in Midtown Manhattan, I highly recommend Club Quarters. There’s nothing like discovering a place that you didn’t realize you always loved. For me, that place is Maine. 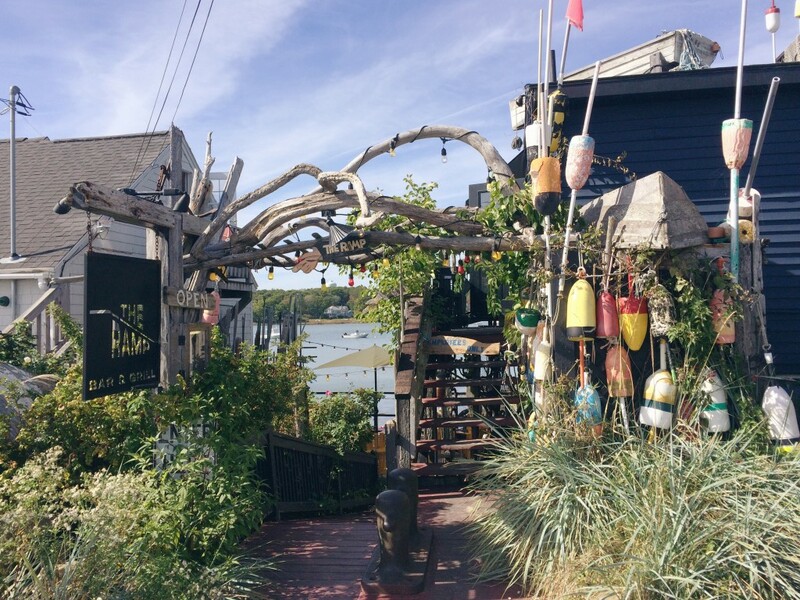 Over the summer, my boyfriend and I took a secret getaway to Ogunquit (to be blogged about at some point) and fell in love with the state known as Vacationland. 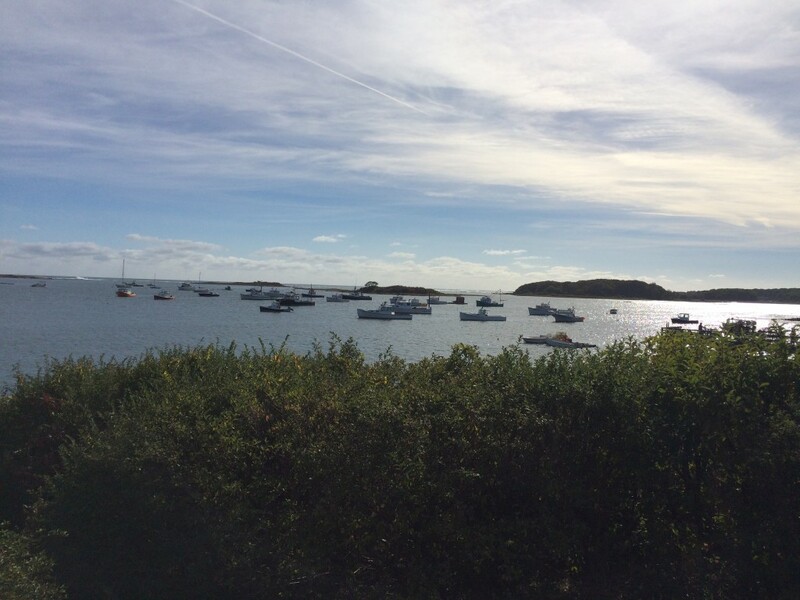 From the rocky shores to the endless lobster rolls and super friendly people, Maine is amazing. We’re working on adding more trips to Maine including a weekend in Freeport and a spring trip to Portland. 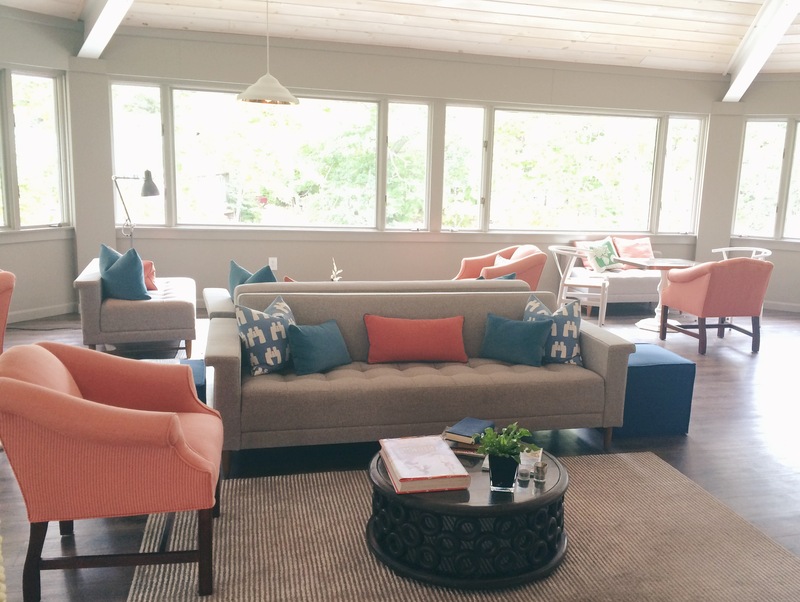 So when I found a Living Social deal for Lodge on the Cove (under $400 for two nights including breakfast), a revamped motel in Kennebunkport, we jumped at the chance to explore a new town for the weekend. We left Boston on Friday in the middle of a rainy rush hour and arrived at our hip oasis a little over two hours later. From the moment we checked in, I knew that our stay was going to be awesome. 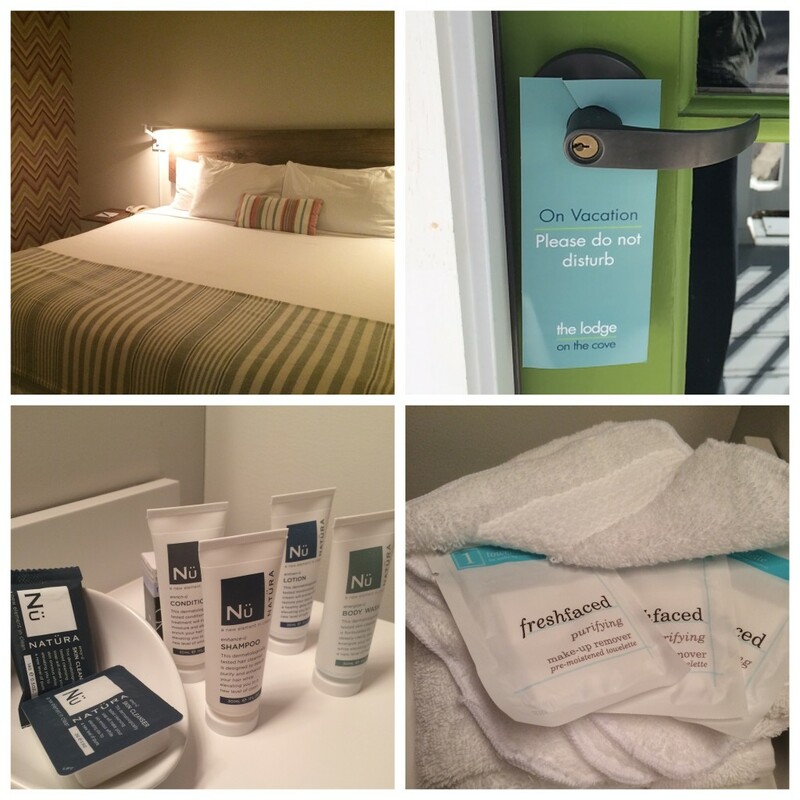 Everything about the hotel was stylish and thoughtful—beautifully designed rooms with handmade furniture, chic European skincare line, and even adorable “Do Not Disturb” signs. We started off the weekend with dinner and live music at the hotel restaurant, The Dory. 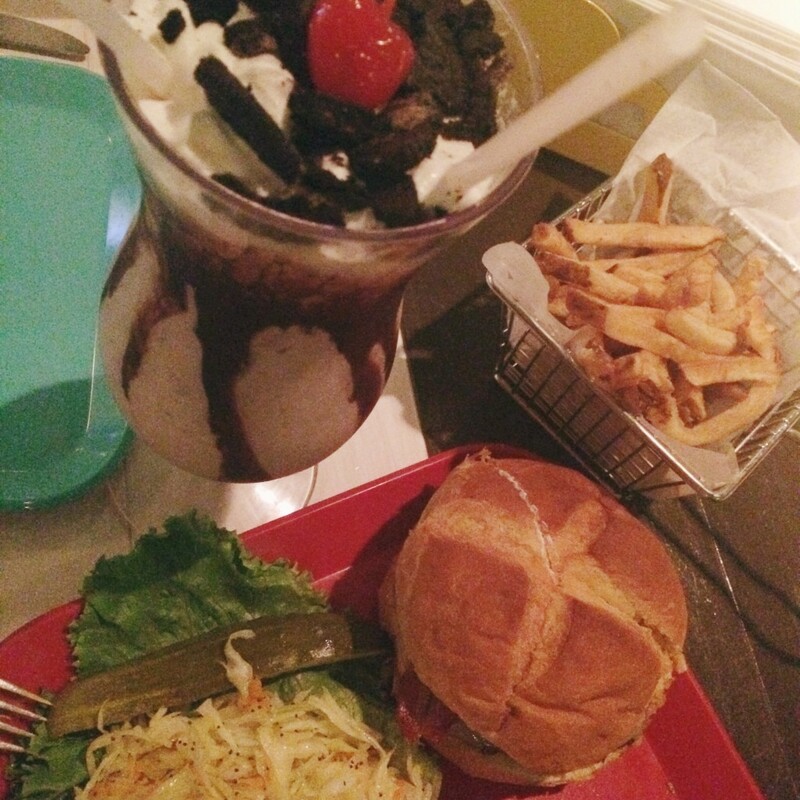 My boyfriend and I split a burger and a boozy milkshake while listening to one of the local bands. From there we took an Uber a whopping half mile into town to Federal Jack’s, the original home of Shipyard Brewing Company. Despite being on the cusp of off season, Federal Jacks was fairly crowded. 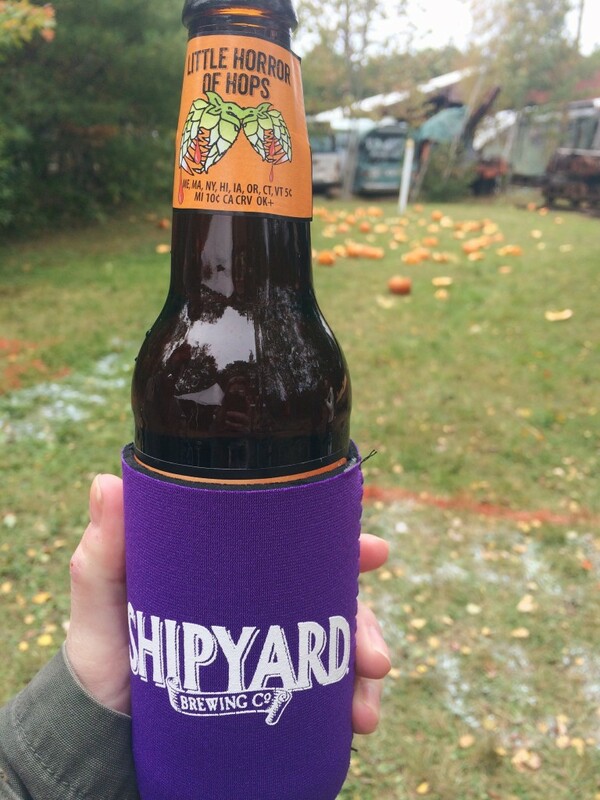 We managed to grab some seats at the bar and listened to live music while sipping never-before-had Shipyard brews. 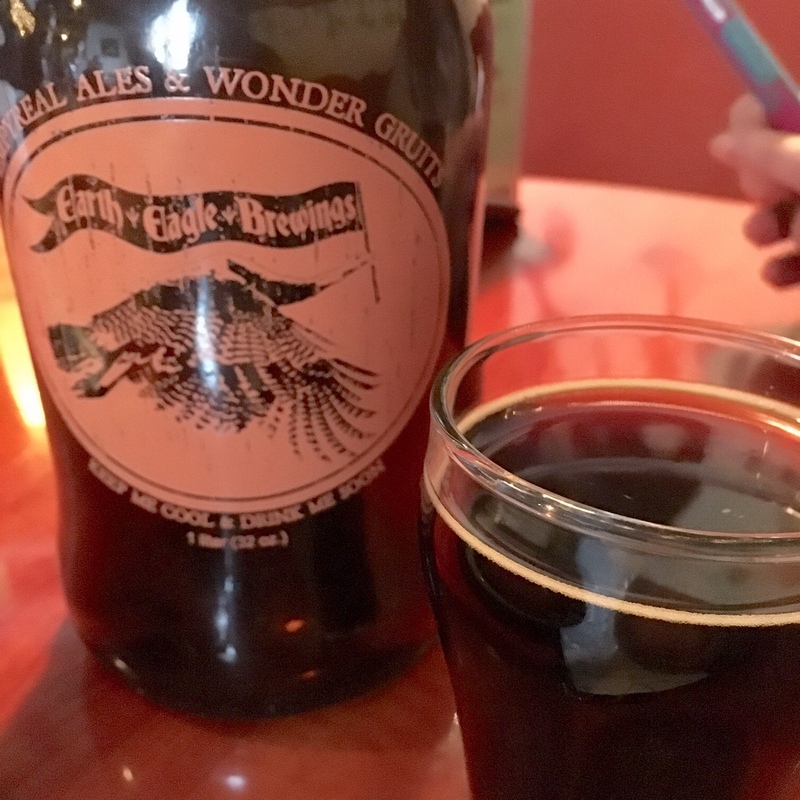 If you’re curious, check out what I drank on Untappd. 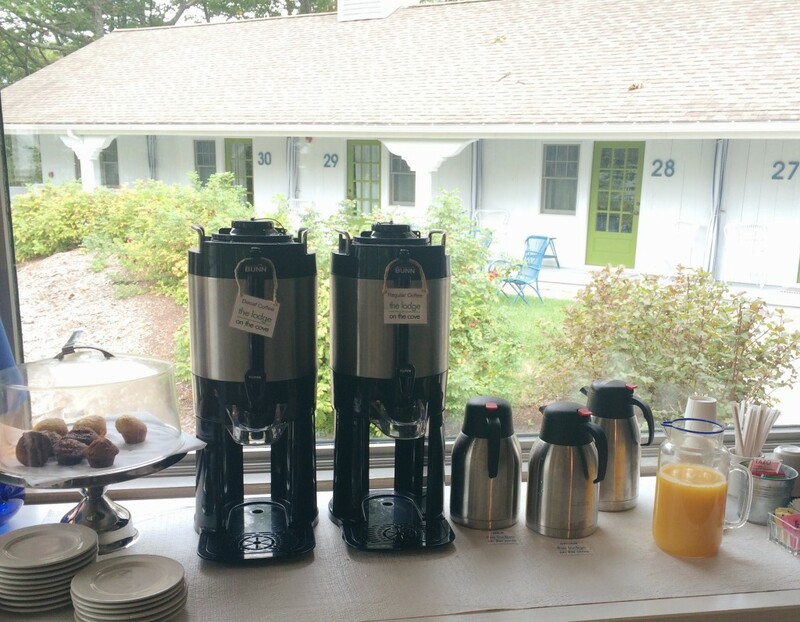 The next day we awoke to a delicious breakfast of muffins and coffee at The Lodge on the Cove. 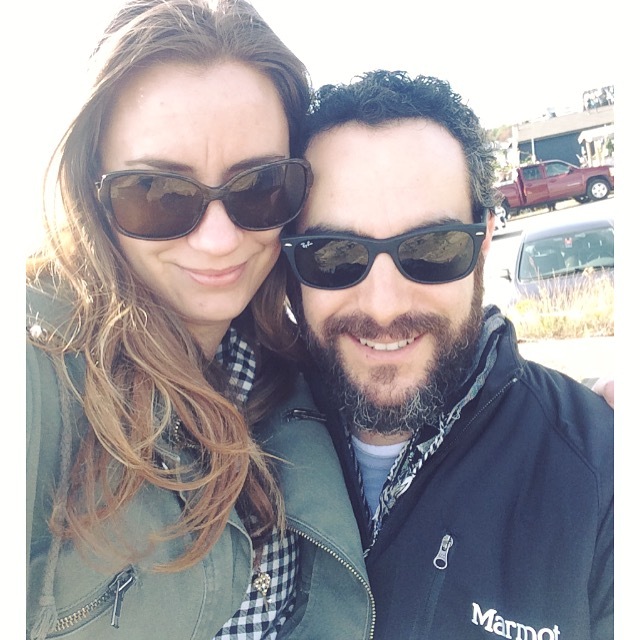 We had high aspirations of doing a lobster roll crawl through Kennebunkport so we ate a light breakfast and headed out to Hurricane Restaurant. 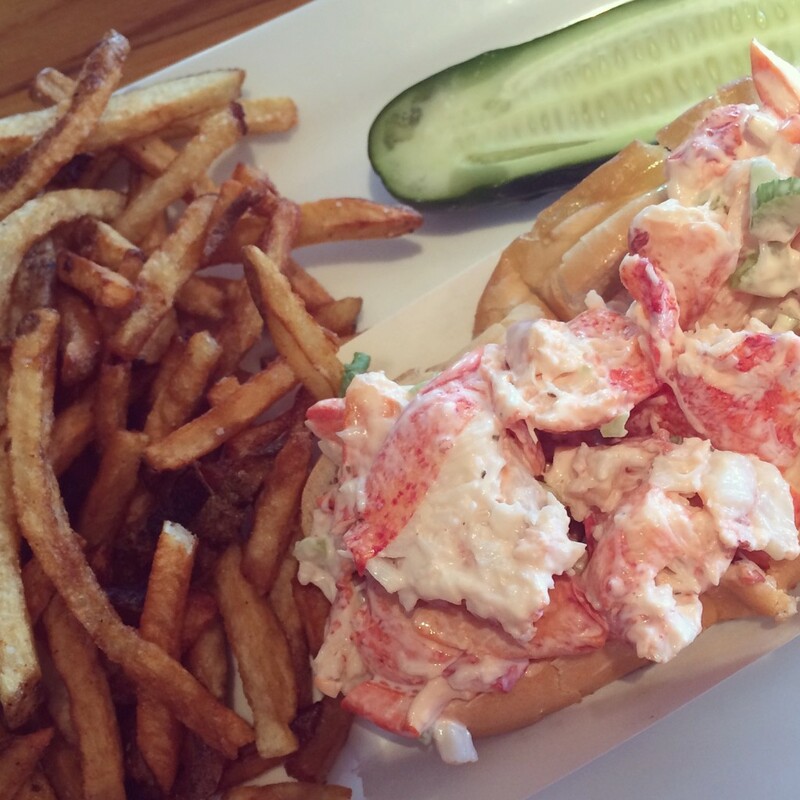 The menu looked too good—we ordered the crab melt and the lobster roll, both of which were delicious. Flyers around the hotel and Federal Jacks indicated that there was a Pumpkinhead Festival during the day so after some shopping around town, we took an Uber to the Seashore Trolley Museum to check it out. 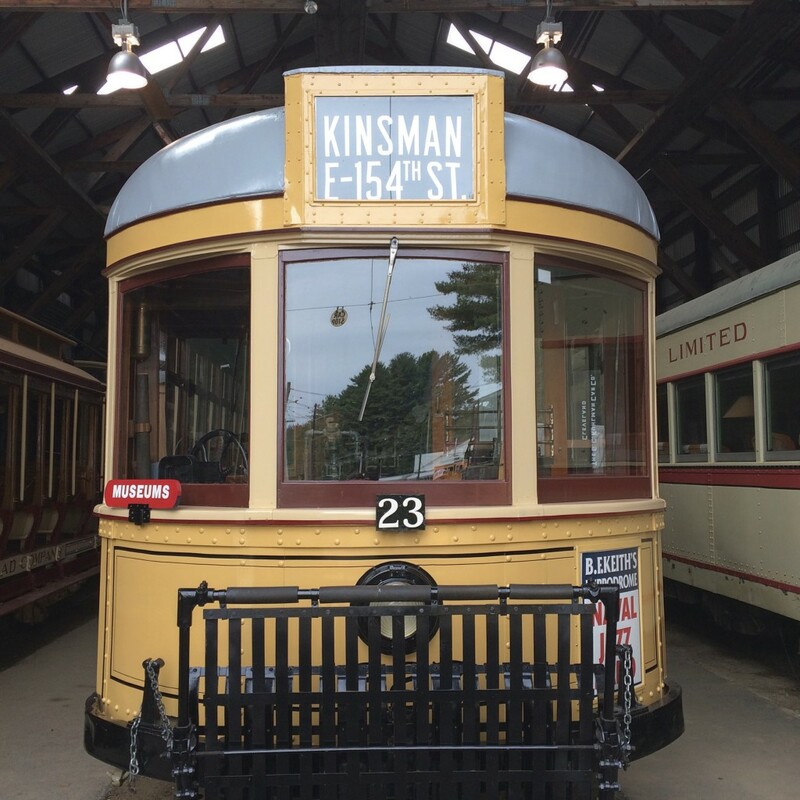 We happened upon another couple at the festival and the four of us struck up a conversation with long-time Trolley Museum volunteer, Kevin Farrell, while we were sipping beers in an old German trolley car. 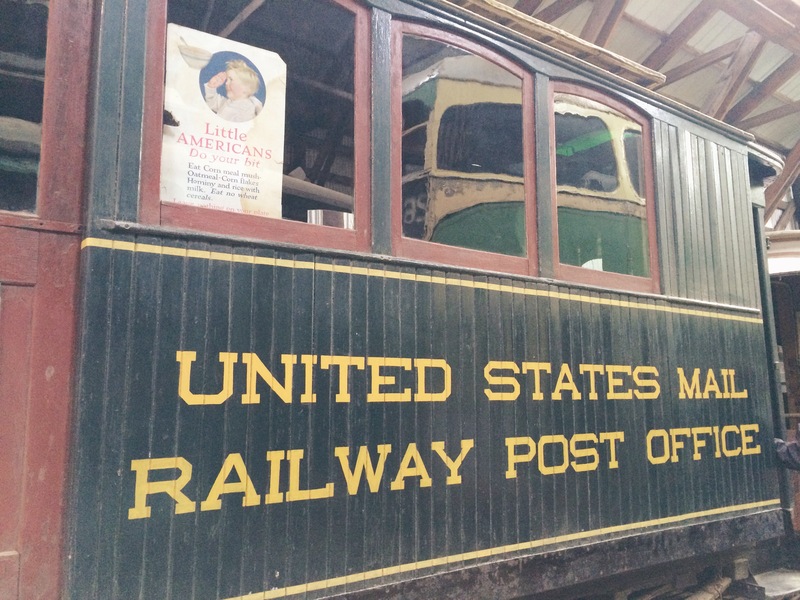 Mr. Farrell told us the history of the museum and the trolley car we were in before offering to take us on an unofficial semi-guided tour that ended up being the highlight of the day. 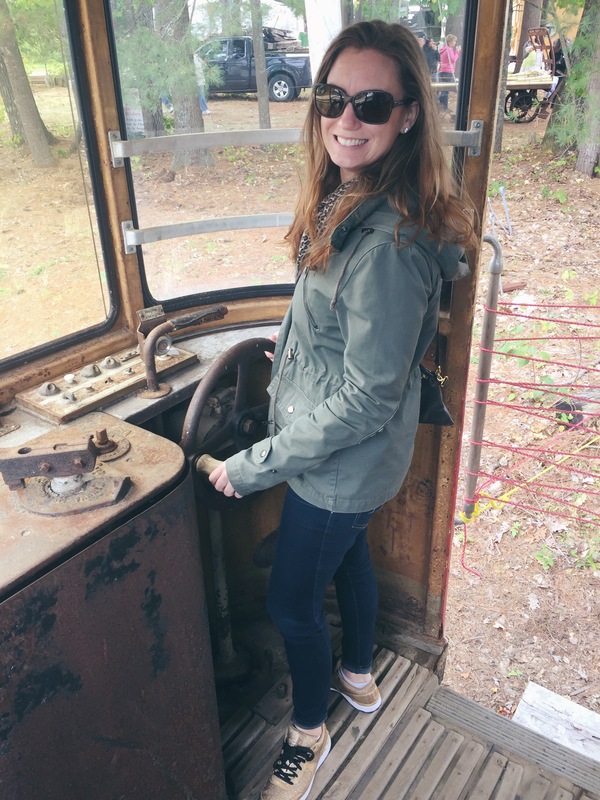 I felt the history around me as we walked through restored trolley cars dating back to the 1800s. I was amazed at the restorations, down to the advertisements on the cars, and simultaneously dumbfounded that Boston’s MBTA had to shut down for a month last winter despite having created plow cars for the T almost 50 years ago! 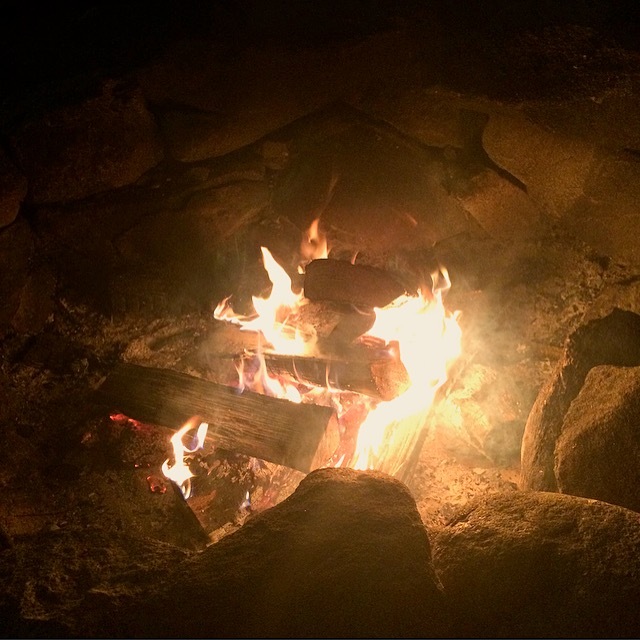 Back in Kennebunkport, we shopped around the stores before retiring to the hotel for a power nap and s’mores by the fire. We napped a bit too long and had trouble finding a place to eat in town that was open past 9pm. Thankfully. Alisson’s restaurant was open and happy to serve us up some of their amazing lobster mac and cheese and another lobster roll. We overestimated the availability of Ubers (oops!) and ended up walking back to the hotel after dinner. The walk along Ocean Avenue was almost as beautiful at night as it was during the day. The stars are so easy to see in Maine. We had a late checkout the next morning thanks to our Living Social deal and around noon we headed out for our last lobster roll of the weekend. Christie at the Lodge on the Cove suggested The Ramp at Pier 77 on Cape Porpoise, a local spot a few miles down the road. 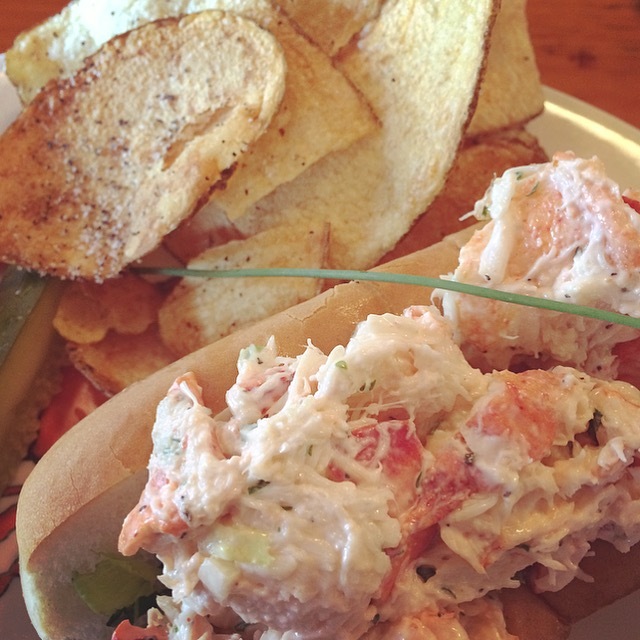 My inherent trust of local recommendations paid off with a delicious chive-speckled lobster roll. We retired to the adirondack chairs after lunch where we chatted up another Mainer and got the scoop on the thousands of oyster shells that you can see in the water below the restaurant. I won’t spoil the story—curious travelers can find out by chatting up a local or reading the legal notice in the bathroom of the memorabilia-laden restaurant. 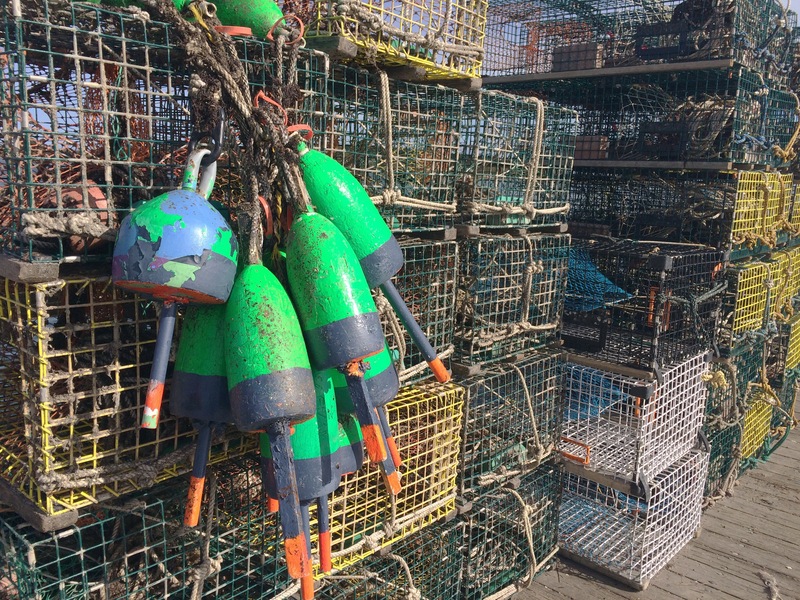 A quick walk out on the pier to smell the stinky lobster traps and we were on our way back to Boston with another wonderful weekend in Maine to remember. I’m super behind in blogging about trips I took this summer, but that’s ok. Summer is about having fun, traveling, and relaxing—all of which I certainly did. 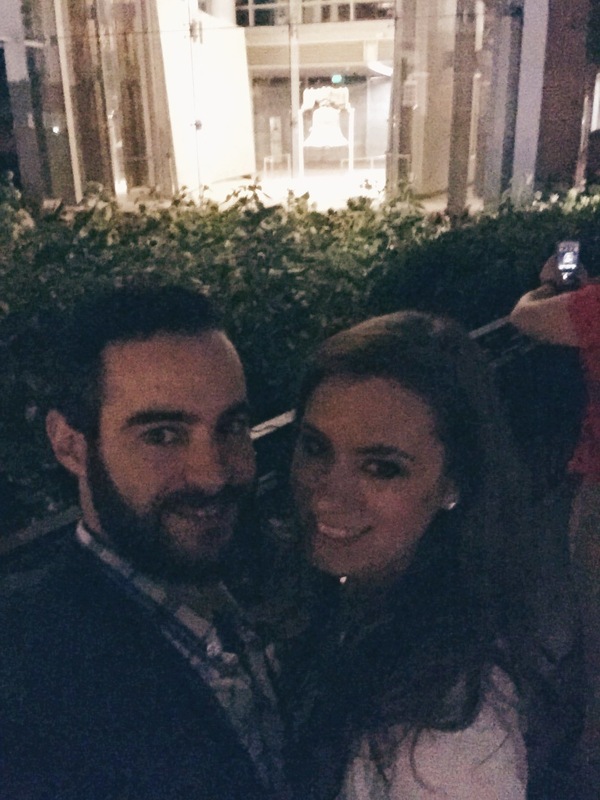 My boyfriend and I stayed in Philadelphia for a night over the July 4th weekend. We had plans to visit my family in New Jersey and since he had never been to Philly, it was the perfect overnight trip for our long holiday weekend . I grew up outside of Philadelphia in Bucks County and spent a summer living in Philly so I was excited to share a city with him that was so familiar to me. I knew the weekend would be crazy with patriotism in the city of Brotherly Love. The city is big on celebrating because it’s essentially the birthplace of America—the Declaration of Independence was adopted in Philadelphia on the 4th of July. 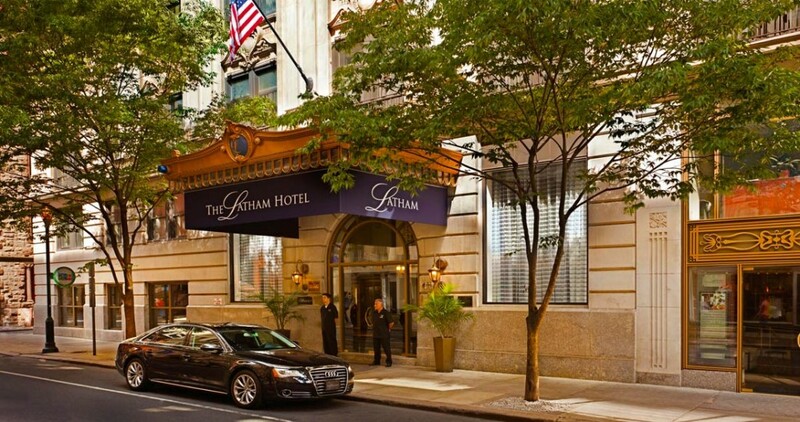 We were thrilled to score a room at the beautiful Latham Hotel in Rittenhouse Square for $150. In order to give him the full Philadelphia experience, I took my boyfriend for his first real Philly cheesesteak. 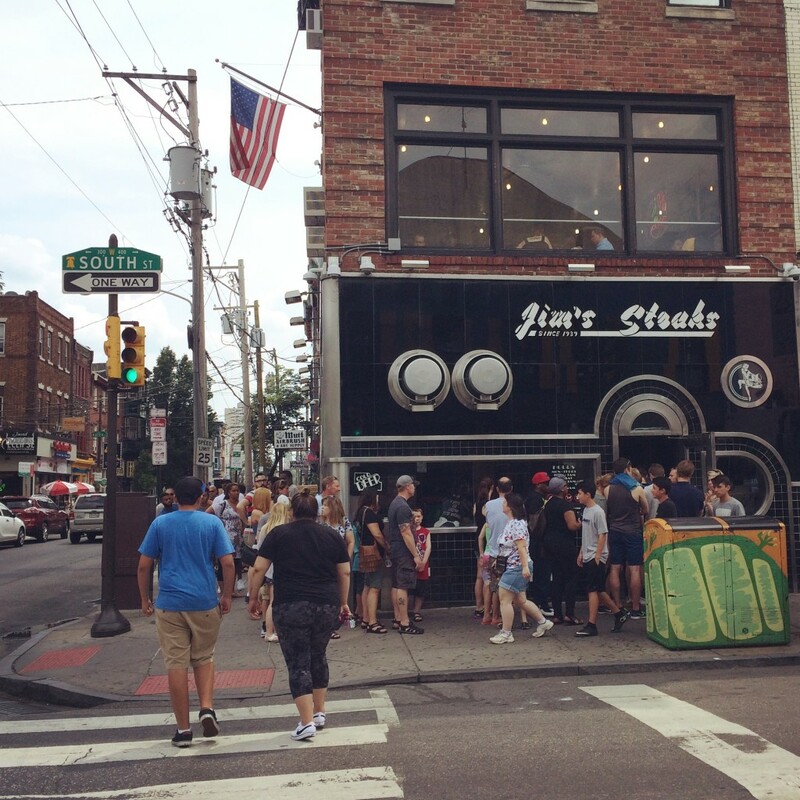 While the Pat’s vs. Geno’s rivalry is fun, I’m a big fan of Jim’s Steaks on quirky South Street. Great steaks and eclectic shops puts Jim’s on the top of my list, not to mention it was more convenient on our walking route. The line wrapped around the corner when we arrived, but it moved fast. It was a nice day out to wait in line and I enjoyed hearing all of the (other) tourists talk about their visit. Having grown up outside of Philly, it’s hard to consider myself a tourist, but considering the touristy agenda I had set up, it was a given. Then quickly moving down the line. If you’ve been waiting in line for 30 minutes and cannot articulate your order in less than 10 seconds, you will get the stink eye. Guaranteed. After we stuffed ourselves on Jim’s Steaks, we headed to Old City, the more historic area of Philadelphia. We walked through Society Hill, an old affluent neighborhood that, according to Wikipedia, has the largest concentration of original 18th- and early 19th-century residential architecture of any place in the United States. 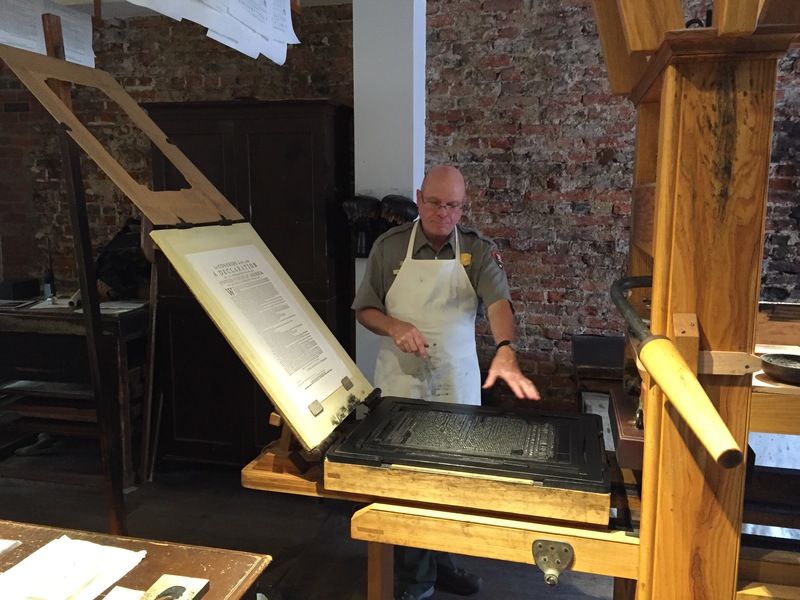 We visited Carpenter’s Hall, Benjamin Franklin’s House and Print Shop, and Franklin Court. 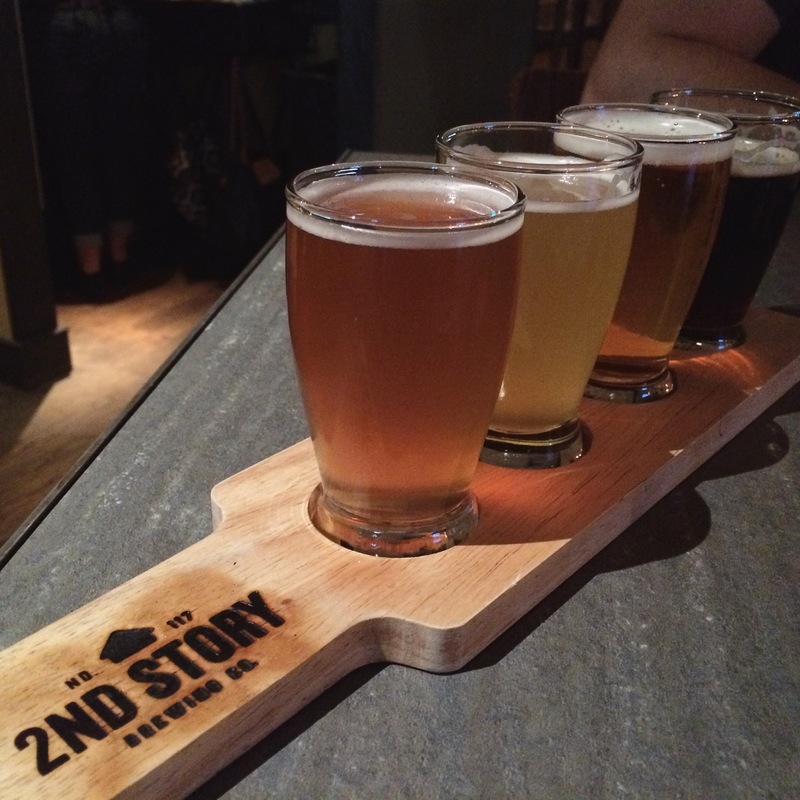 Since no trip of mine is complete without craft beer, on the way back to Independence Mall, my boyfriend and I stopped by 2nd Story Brewing Company for a flight of their craft brews. Philadelphia was in full party mode for the 4th of July weekend so our stop by Independence Hall, the Liberty Bell, and the Constitution Center was thwarted by street fair crowds and Philadelphia POPS concert. We made our way through the throngs of people, grabbing free flags and enjoying the spirit of the holiday. I squealed with delight when we passed a Tastykake stand, snagging free Krimpets and shoving my childhood treats down my throat. Mmm, so good! 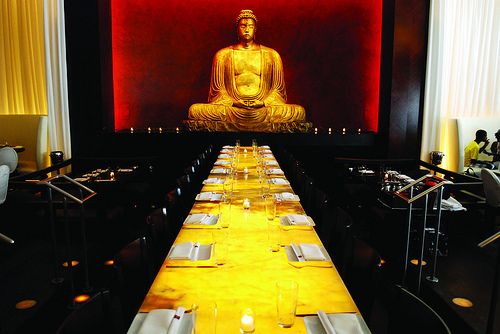 A longtime fangirl of Stephen Starr, I made dinner reservations for myself and my boyfriend at Buddakan, an Asian concept restaurant. 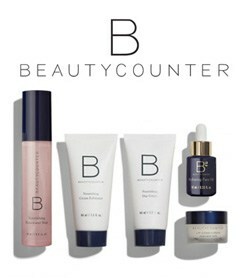 Ah-amazing! We split the Dim Sim Platter with mind-blowing edamame dumplings. My boyfriend ordered the Wasabi-Crusted Filet and I got for the Wasabi Tuna Tatiki. For dessert we split the Chocolate Banana Decadence. The night was beautiful so we walked to the then-empty Independence Mall and scoped out the Liberty Bell through the glass. 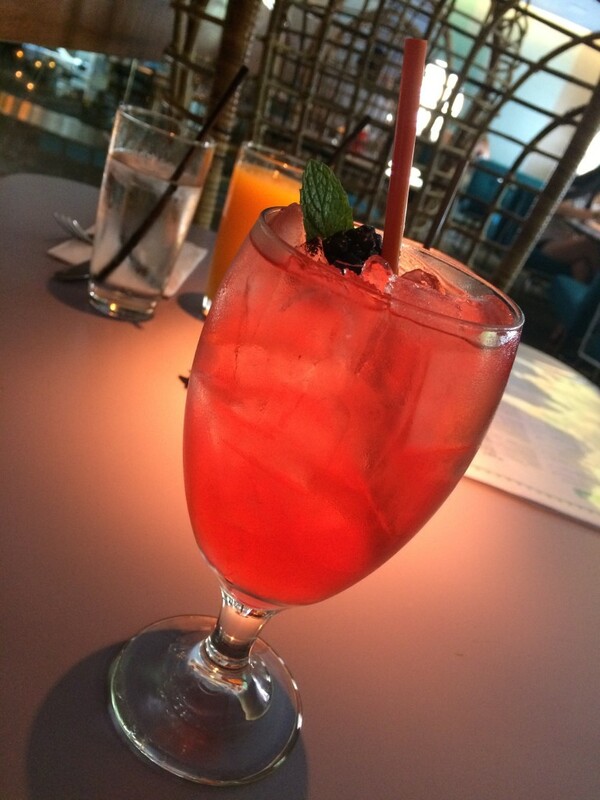 The evening with a nightcap at Parc in Rittenhouse Square before retiring to The Latham Hotel to take elevator selfies and relax after a long day of walking. The next morning was July 4th and we had big plans to meet my family for a 4th of July celebration in New Jersey. Before we got on the road, we walked to Continental MidTown, also part of the Starr Restaurant Group. 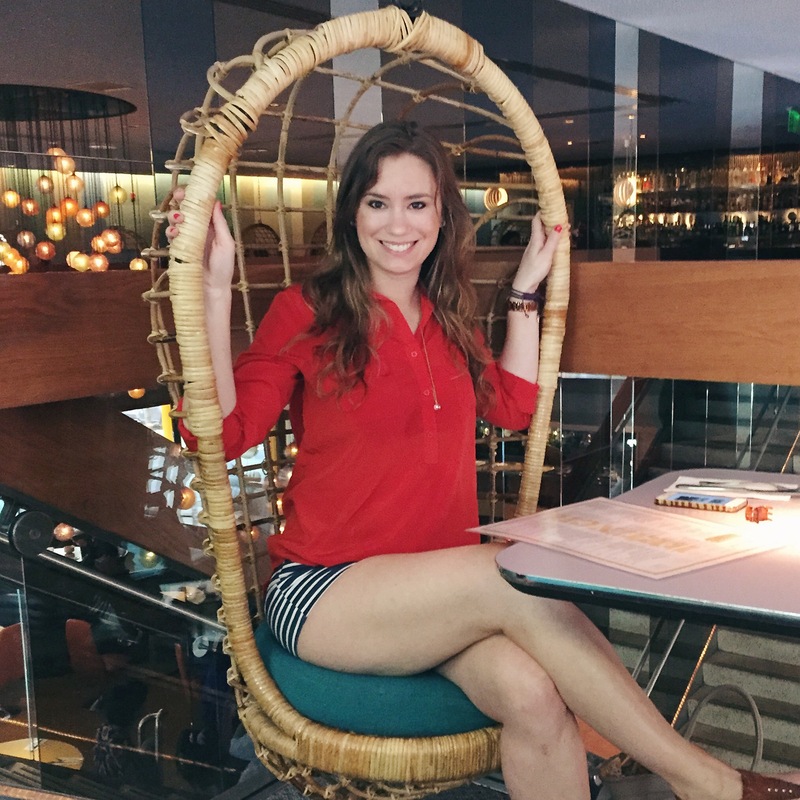 From the suspended wicker birdcage chairs to the grenadine cocktails named after movie stars, the 60s style concept restaurant doesn’t miss a beat. The biscuits and gravy was some of the best I’ve had. 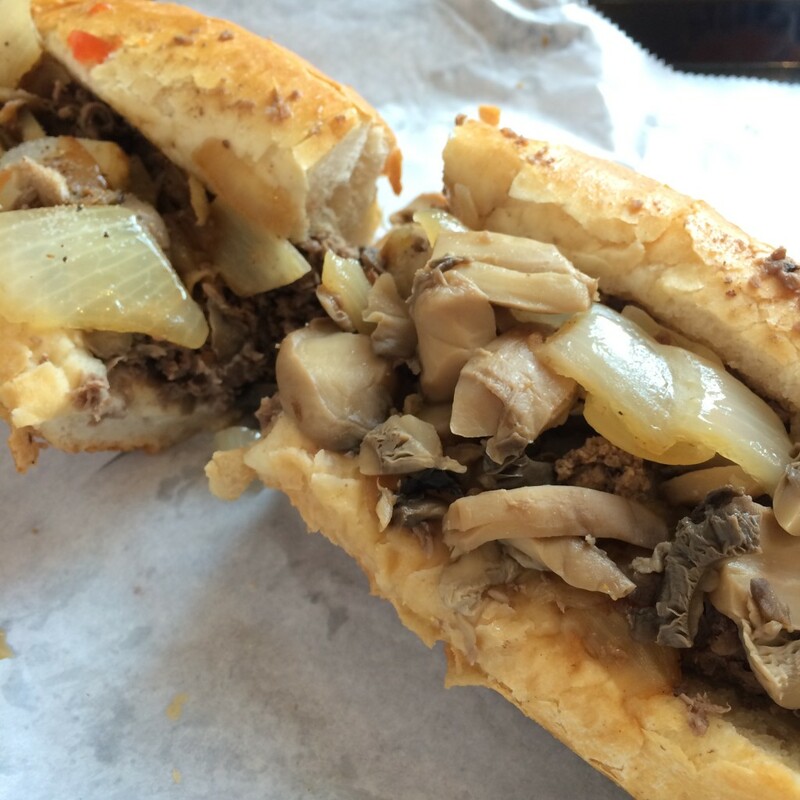 In less than 24 hours, we ate and walked our way through Philadelphia on one of its busiest weekends of the year. 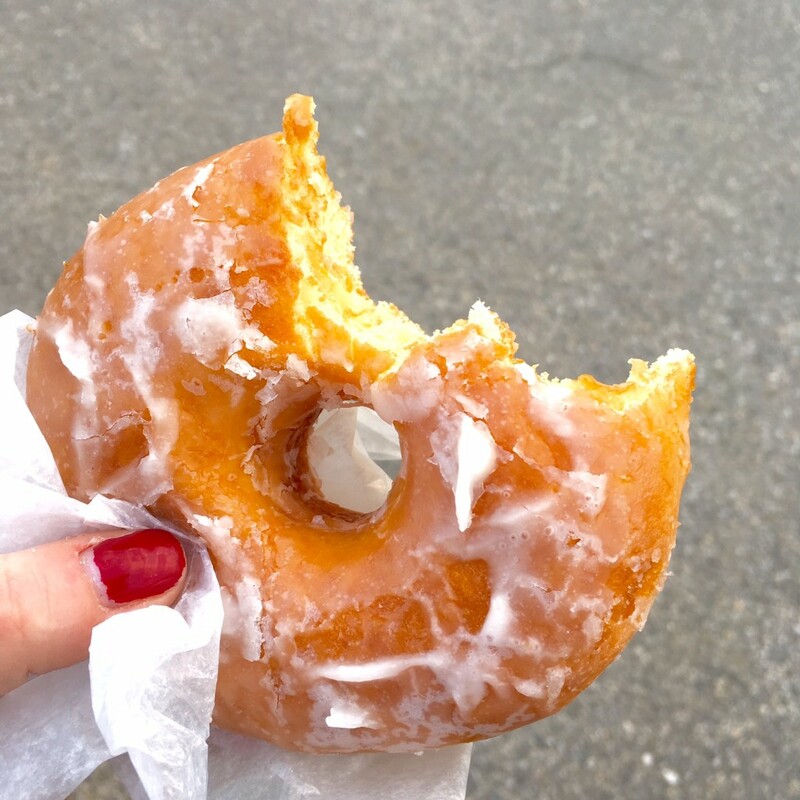 We can’t wait to go back to explore and eat some more!